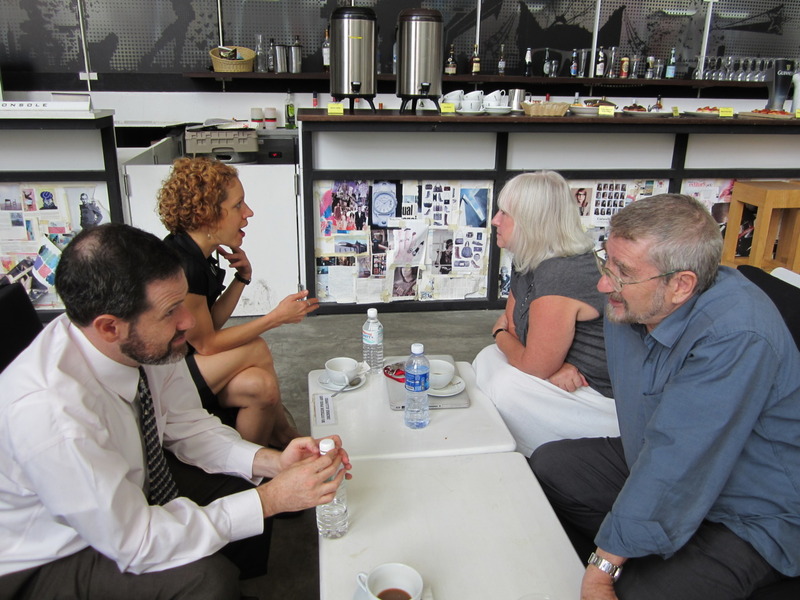 "Multi-faceted approaches can work well, even with a small team"
This documents Phase 1 of Jonathan Hollander's Fulbright Specialist Program in Kuala Lumpur, Malaysia in 2011. 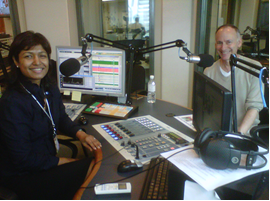 Listen to Jonathan tell the story of the history of Battery Dance Company during a radio interview in Malaysia. 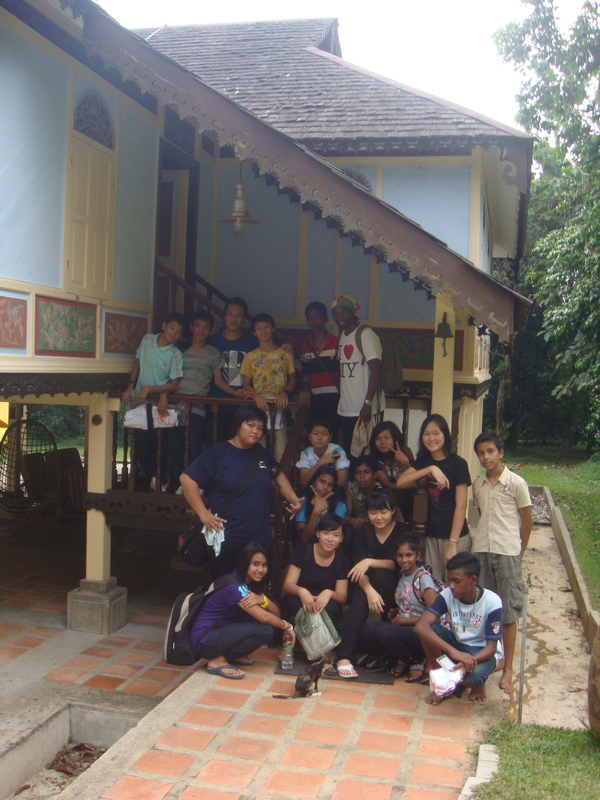 Phase 2, "Jonathan Hollander's Fulbright Specialist Program trip to Kuala Lumpur" can be read here. Multi-faceted approaches can work well, even with a small team. This program was originally supposed to be a solo engagement with Jonathan Hollander as a Fulbright Specialist. 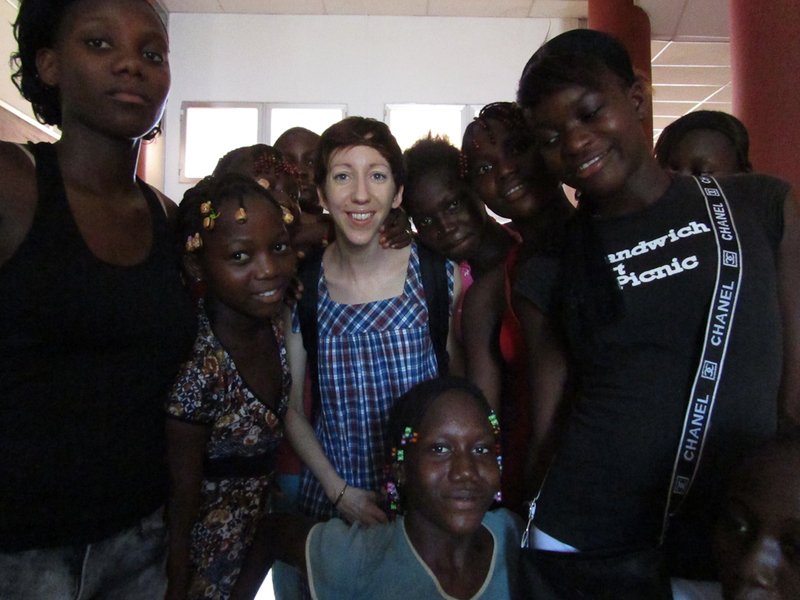 During the planning phase, the opportunities for working with different populations – professional dancers, conservatory students, refugee children – kept appearing and, in close consultation with the Embassy and Fulbright program, we were able to add two teaching artists to the team and expand our reach dramatically. 1 Dancing to Connect performance at Teatros de Canal, Madrid. Due to a last-minute medical emergency, several adjustments were made, none of which compromised the quality of the project: Mira Cook, a BDC teaching artist, was unable to participate in the project and Sean Scantlebury was substituted. Sean was involved in a DtC project in Israel that reached completion on the evening of the first day of meetings in Madrid. He traveled overnight and arrived the next morning, in time to lead his group of students in its first workshop session. Extensive work was done in advance of the project to inform the Spanish partners of the ways and means of Dancing to Connect (DtC). Battery Dance Company prepared a teachers' manual, translated into Spanish, to lend structure and clarity to the process. Many of the Spanish Dance Teachers acted as translators when leading the workshops. 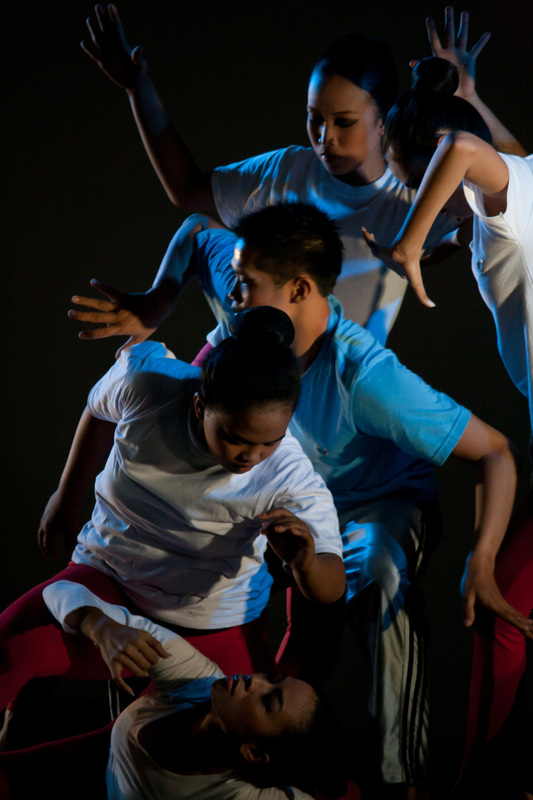 Through the financial and facilitative support of the U.S. Embassy Madrid, Battery Dance Company brought its heralded Dancing to Connect project to Madrid, introducing the art of choreography and a major performing experience to youth who would otherwise lack such access. The participants were low-income students from 10 of Madrid's public schools and a residence for children who have no parents or have been deemed to be unsafe in their home environment. The Battery Dance Company teaching artists were paired up for the project with young Spanish dance teachers-in-training, who served as both translators and collaborators in leading the workshops. The Spanish dance teachers are members of Alas Abiertas, a non-profit arts organization in Spain that is directed by Mercedes Pacheco and whose mission is similar to Battery Dance Company's. The excellent results of this project have opened many doors for future collaborations. Extensive work was done in advance of the project to inform the Spanish partners of the ways and means of Dancing to Connect (DtC). 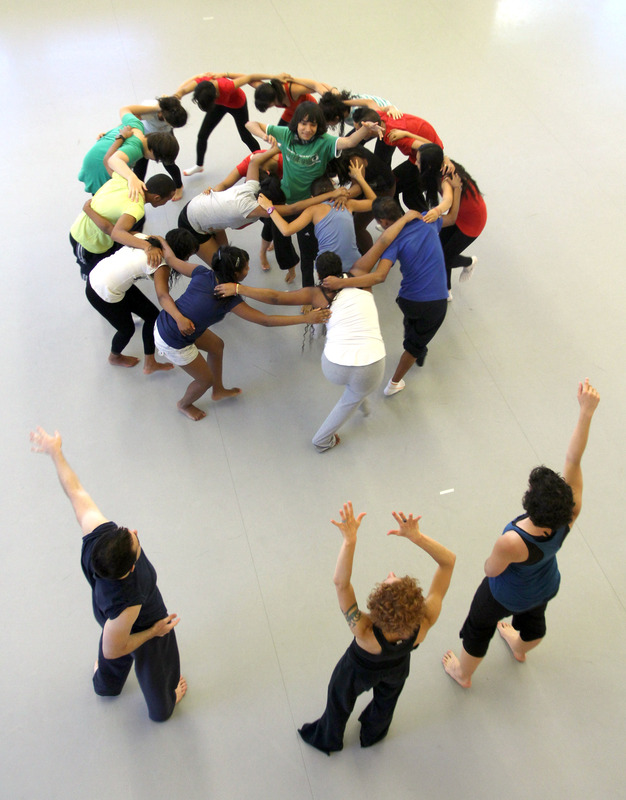 Battery Dance Company prepared a teachers' manual, translated into Spanish, to lend structure and clarity to the process. 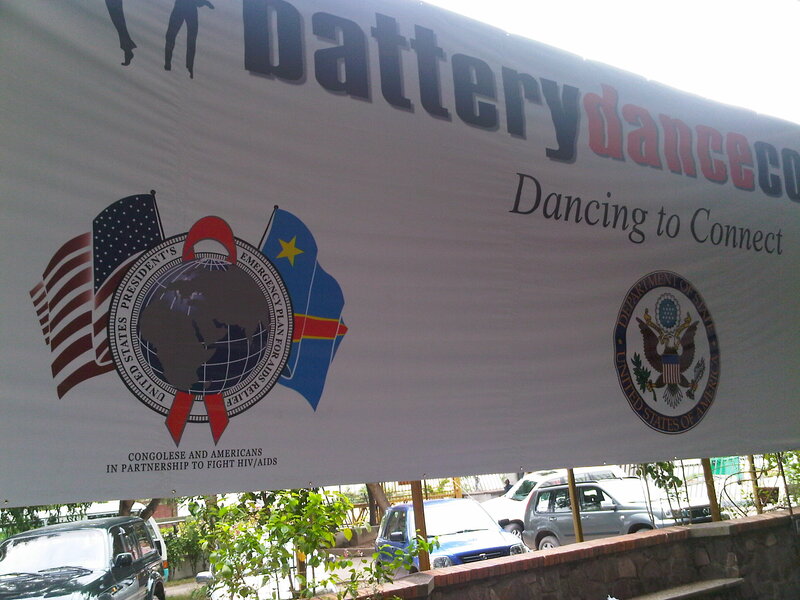 The goal of teaming up with local artists was based upon Battery Dance Company's practice of sustaining the value and impact of Dancing to Connect in each country where it is introduced by training local dance teachers who can carry it forward after the Americans return home. 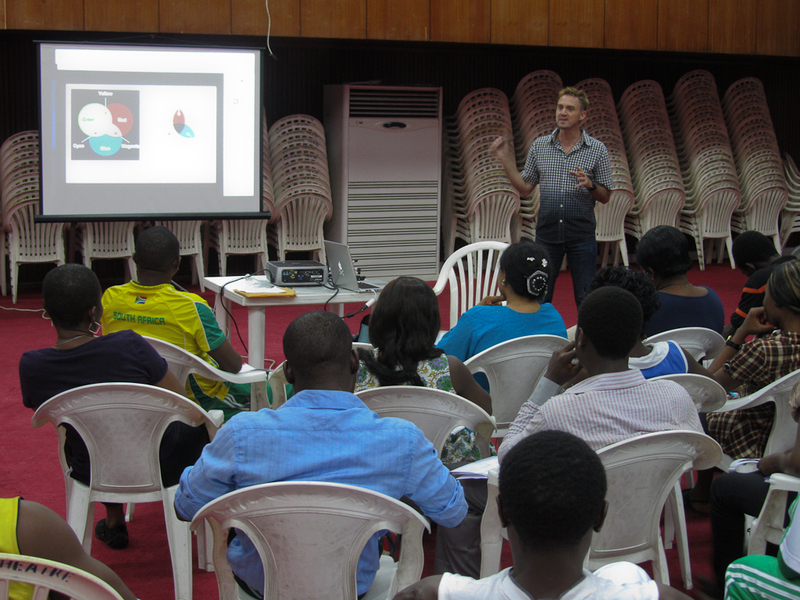 Six days of 6-hour workshops took place including a Saturday. 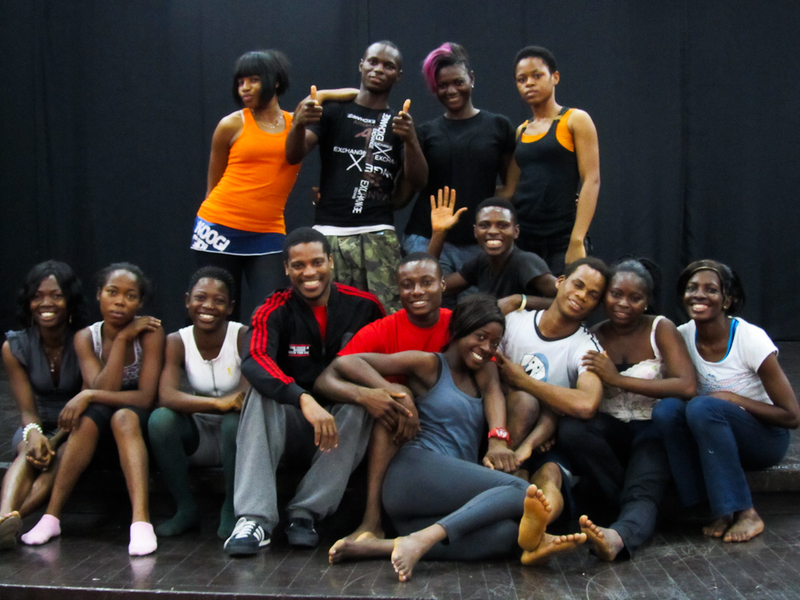 From the first moment, it was evident to the Battery Dance Company teaching artists that the youth were excited to have such an unusual opportunity and were proud to have been selected. At the same time, there was some anxiety when faced with the need to communicate in English and to work in an artistic medium that was unfamiliar. The facilities at the Centro de Danza Canal are state-of-the-art, including 10 beautifully designed dance studios, three of which were made available to the DtC project for the duration of the workshops. Centro de Danza Canal's Director, Marcial Rodriguez Otero, was very present during the program and made the teachers and students feel very welcome. Due to a last-minute medical emergency, several adjustments were made, none of which compromised the quality of the project: Mira Cook, a BDC teaching artist, was unable to participate in the project and Sean Scantlebury was substituted. Sean was involved in a DtC project in Israel that reached completion on the evening of the first day of meetings in Madrid. He traveled overnight and arrived the next morning, in time to lead his group of students in its first workshop session. Carmen and Bafana took responsibility for handling the first meeting with the Spanish dance teachers and for running a combined warm up on the morning of Day 2 with all of the students. The Spanish dance teachers were hand-picked and supervised by Marcedes Pacheco, a former ballet dancer turned arts educator with a wealth of experience. Each of these young teachers-in-training brought good energy and very open minds to the process. They jumped into the process, bonded with their American mentors and quickly became inextricable partners in the process. 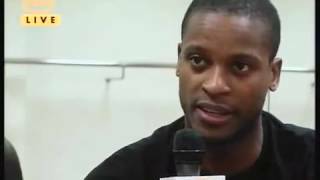 We feel that they will be able to carry the project further on their own in Spain, thereby sustaining and amplifying the meaning and value of the Dancing to Connect project. Hollander met with directors of three of the four dance conservatories in Madrid, visiting two of them and observing a performance by the graduates of the Conservatorio de Danza Mariemma. He also met with Diego Hidalgo, a Board Member of El Pais, Spain's primary daily newspaper and escorted him to the Centro de Danza Canal to observe the workshops. Jonathan attended a press conference with representatives of the radio, television and print media of Madrid. Through the good offices of the Consulate General of Spain in New York, he met with Paz Santa-Cecilia Aristu, Director of the Department of Music and Dance (INAEM) in the Spanish Ministry of Culture and Antonio Garde Herce, Deputy Director for Music and Dance of the INAEM. The Dancing to Connect program received considerable positive press. 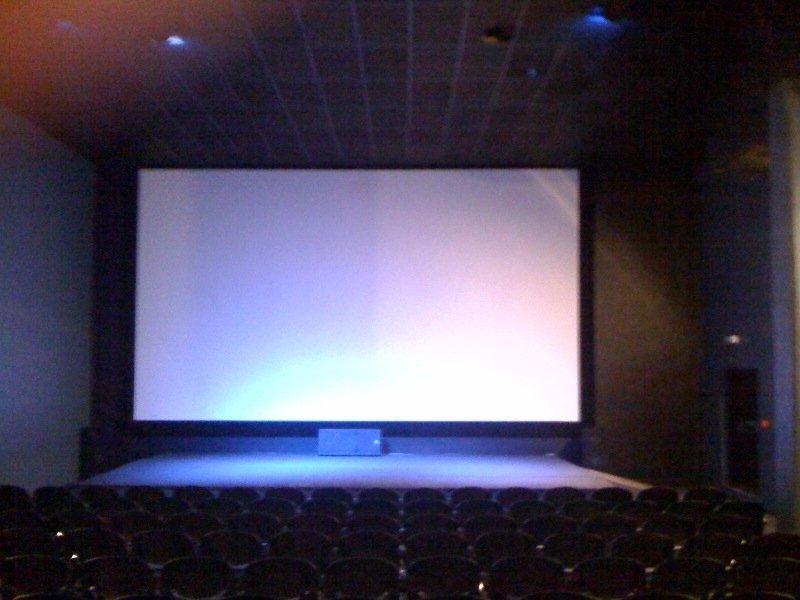 DtC was featured on Telemadrid, Telemadrid Nightly News, and Antena 3. In print and online, DtC was covered by ABC, El-Mundo, Terra Noticias, and with feature articles in El-Pais and Elpais.com. 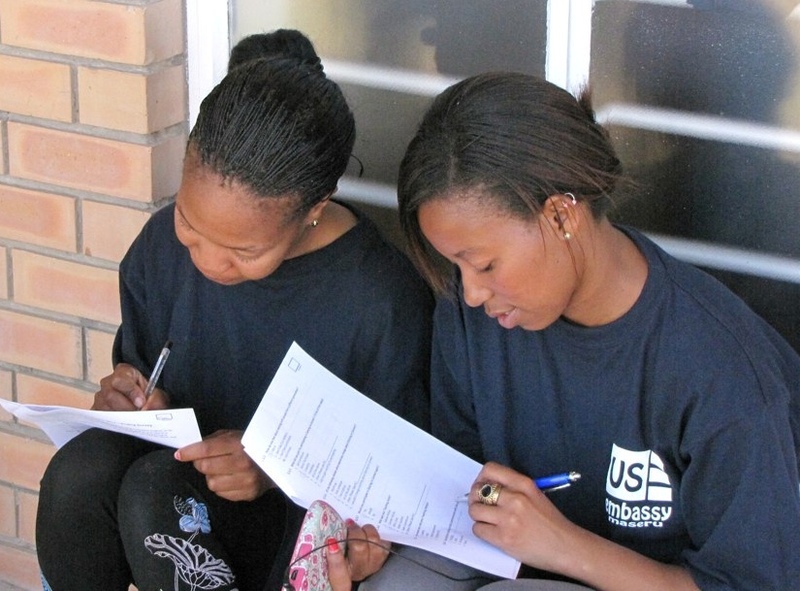 A Spanish language survey was administered at the start and end of the DtC program to measure the program’s effectiveness with the teenage participants. The questionnaire was composed of a mix of qualitative and quantitative close-ended questions, developed by Emad Salem, Battery Dance Company’s Deputy Director for International Programs. Most students completed pre- and post-program questionnaires resulting in a paired sample size of 55. In addition, a qualitative questionnaire was given to the local dance teachers who received training. Data analysis will follow. Battery Dance Company is extremely grateful for the support and full cooperation of the U.S. Embassy Madrid, including Ambassador Alan Solomont, Public Affairs Officer Thomas Genton and above all, the hands-on leadership and vision of Cultural Affairs Officer Laura Gould, and the program design and implementation meticulously carried out by ACAO Elizabeth Martin-Shukrun and Cultural Affairs Specialist Macarena Moreno and the media relations effectively handled by Marta Garcia. By way of anticipated long-term results, Battery Dance Company hopes to continue building collaborations with both Centro de Danza Canal and Alas Abiertas in Spain, as well as the dance conservatories in Madrid, and to feature Spanish dance at one of its future editions of the Downtown Dance Festival. A Joint Dancing to Connect program in Kfar Menachem, Israel with dancers from Ramallah, Palestine and Bochum, Germany as a second part to the Dancing to Connect workshops in February in Germany. Battery Dance Company’s teaching artists worked with 60 students – from Israel, West Bank and Germany -- in two series of workshops earlier this year. Using the universal language of dance, these students of 16 – 18 years old built teams that crossed religious, social and geographic boundaries. 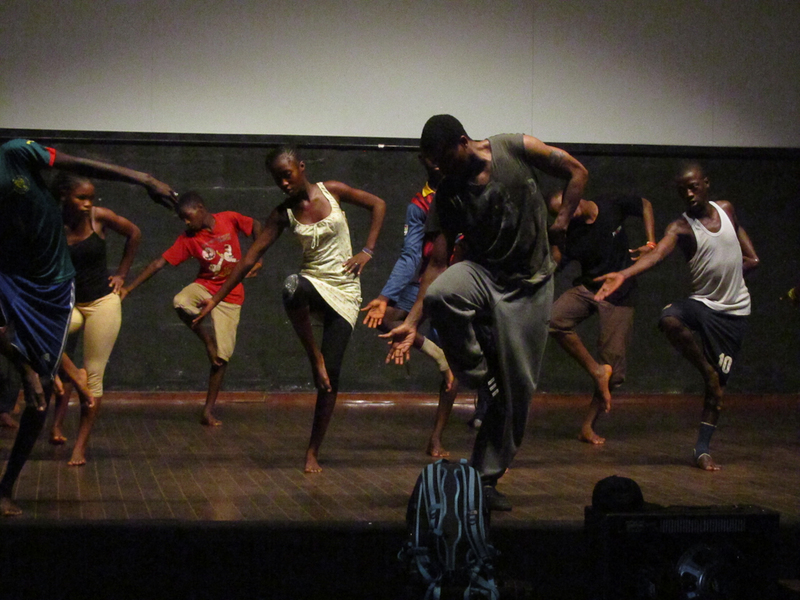 Together, they created choreography that spoke to the issues of inclusion and exclusion. As the process went forward, the differences between the students melted away. The first session of 5 days took place in the working-class city of Bochum in the German State of North Rhine Westphalia (for more on the Bochum program, see Bochum, Germany). The students from Israel and the West Bank had flown to Germany a few days earlier and had toured Berlin before coming to Bochum. Over the course of the next several days, they worked with Battery Dance Company teaching artists and were introduced to the craft of choreography. Given the fact that only a few of the students had taken formal dance classes in the past, everyone was on a similar level – they knew very little about the medium of dance and choreography. The professional teaching artists coaxed the students into creating movement by giving them a variety tasks that built from individual creative movement phrases into group choreography. 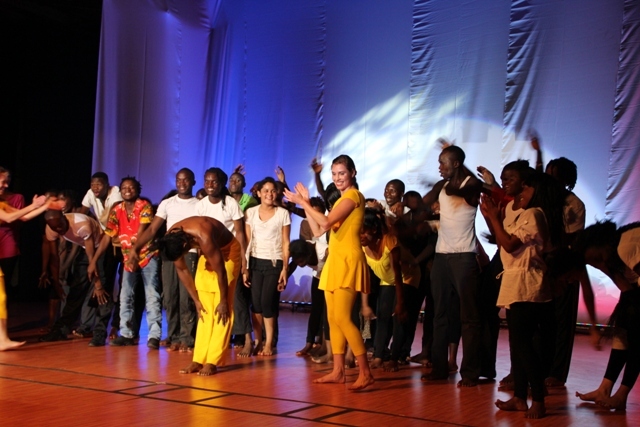 The workshops completed, the students took part in a grand performance in the auditorium of the Pestalozzi Realschule, attended by dignitaries from the state government, U.S. Consul General and German recording artist Peter Maffay whose foundation, Encounters, provided support for the project. During the second session, the migration was reversed: the German students traveled to Israel, stayed in Jerusalem and commuted each day to Kfar Menachem, a rural town to the South West. The students were accompanied by representatives of the Peres Center for Peace and of Encounters (Germany) as well as Jonathan Hollander, and two BDC teaching artists. Each day, they worked at the Savit Regional High School with its excellent facilities, once again using the language of dance to build teams and trust. A performance was held at the high school, attended by Israeli and Palestinian families, government officials and community members. The emotion was palpable on the part of the students as well as the families who saw something they never would have believed possible – young people of three societies between which historical events have created seemingly impenetrable barriers working physically and artistically towards a unified goal. Algeria - In July 2011: BDC's Production Designer Barry Steele's visited Algeria to train local technicians and to supervise lighting at two national festivals in Timgad and Djamila. Article in leading newspaper Kompas on October 16, 2011. Article in Makassar newspaper Tribun Timur on October 10, 2011. Article in Javanese newspaper Jawa Pos on October 16, 2011. Article in Koran Tempo Makassar on October 17, 2011. Article in Antara News on October 12, 2011. Article in The Jakarta Post on October 21, 2011. Article on hotberita.com October 17, 2011. In the lead-up to the Indonesia program, BDC and the U.S. Embassy came up with a plan that was inspirational in terms of outreach -- to have each of the 5 teaching artists in the company fan out to 5 different Indonesian cities to conduct Dancing to Connect workshops in each region of the enormous country. However, as time went on and we began to identify the logistical challenges of such a wide-spread program (and staffing challenges on the part of the Embassy), another, plan was devised that, compared to the original one, seemed disappointingly conservative and limited. 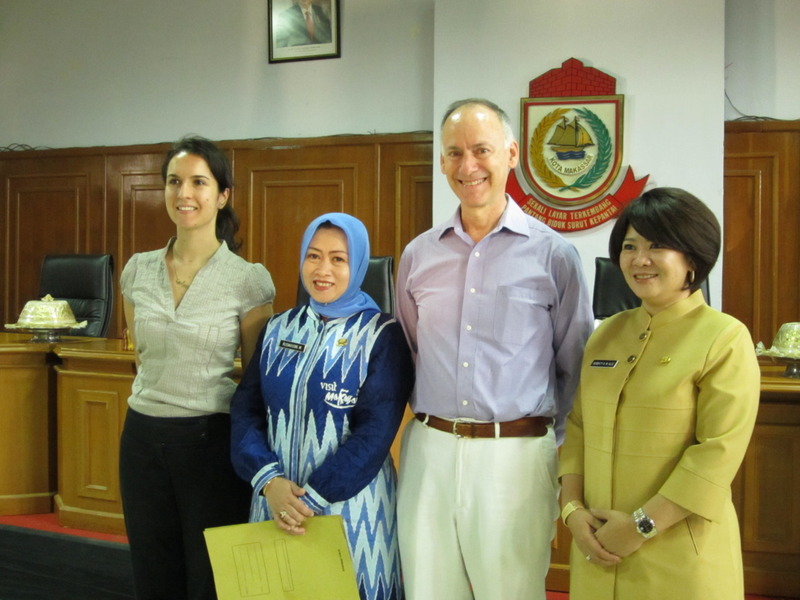 However, in the execution of the project (with a huge performance and two seminars in the capital, Jakarta, followed by a full-on Dancing to Connect program in a provincial city, Makassar, that had never seen anything of the kind before, it proved not only seriously challenging but also profoundly meaningful and full of impact. In retrospect, we found ourselves grateful not to have proceeded with the original plan which would have stretched us all past our limits. 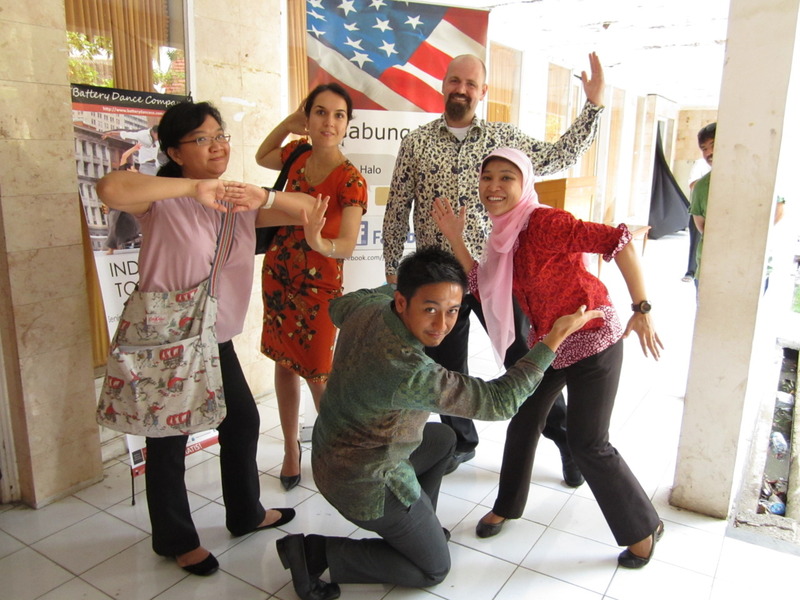 Having attempted to build Indonesia into its Asian itineraries for several years, Battery Dance Company was thrilled to have the opportunity to work with the U.S. Embassy, designing a program that started with a high-visibility performance and two subsidiary programs in Jakarta, the nation’s capital, and continued with an intensive series of interactions in the provincial capital of Makassar, a maritime city of 1.5 million people. 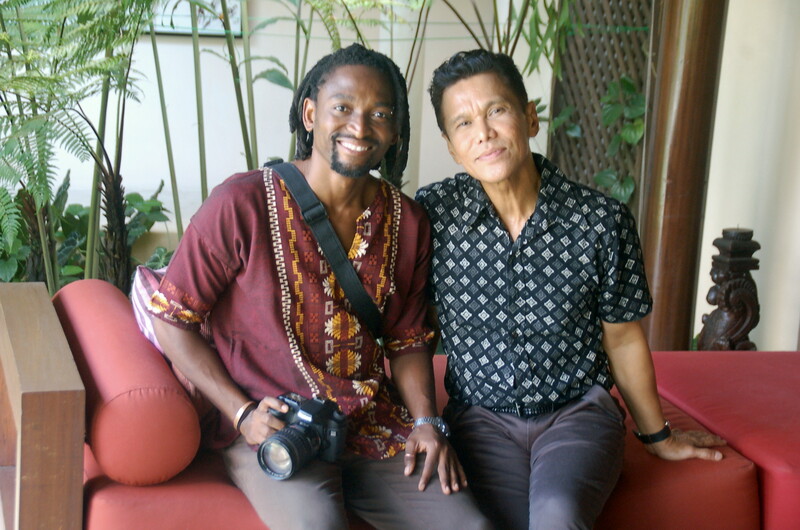 Ramli Ibrahim, the great choreographer and dancer based in Kuala Lumpur, Malaysia, helped BDC establish contact with two of Indonesia’s leading dance entrepreneurs. By connecting these local contacts with the U.S. Embassy, the shape and dimension of BDC’s program was developed in a way that satisfied everyone’s desire to make the most of the Company’s time and talents. 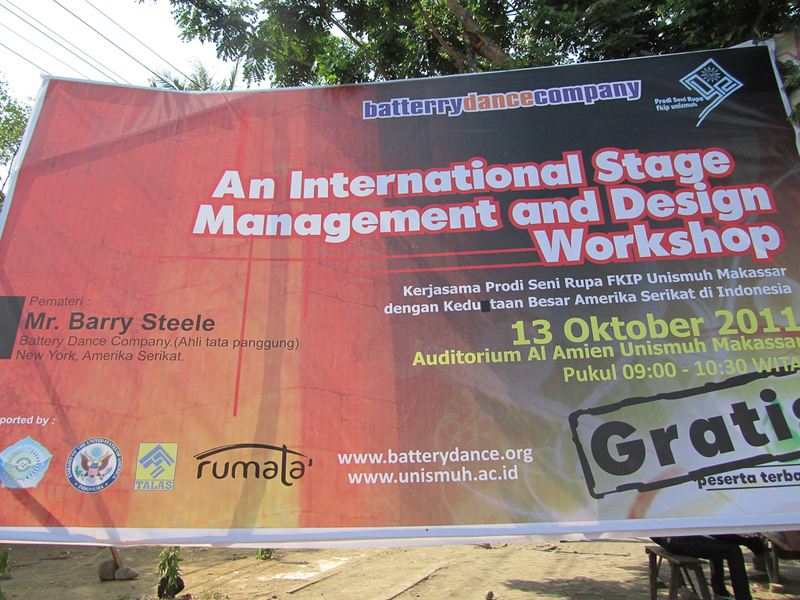 On the second day in Indonesia, five Battery Dance teaching artists traveled to Makassar, while Jonathan Hollander and Barry Steele remained in Jakarta to conduct seminars on fundraising and lighting/production respectively. 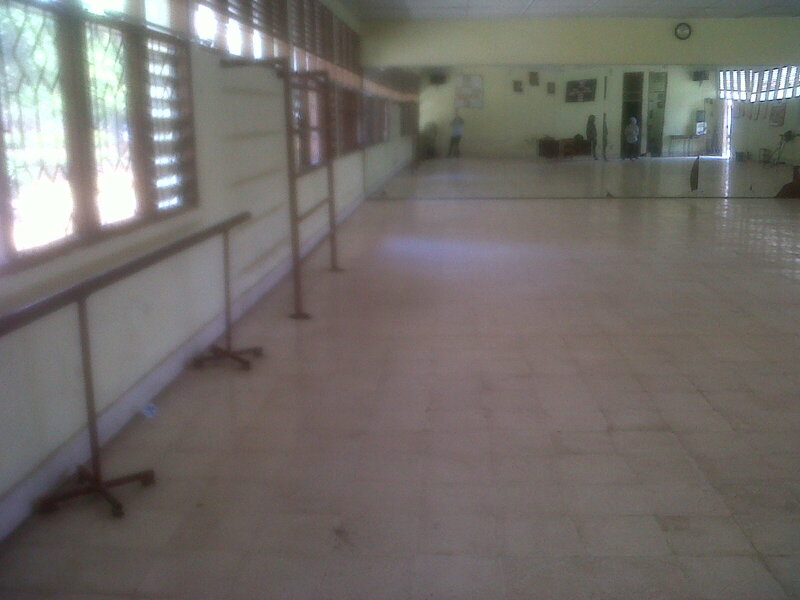 The dancers were divided and given different assignments for the week. 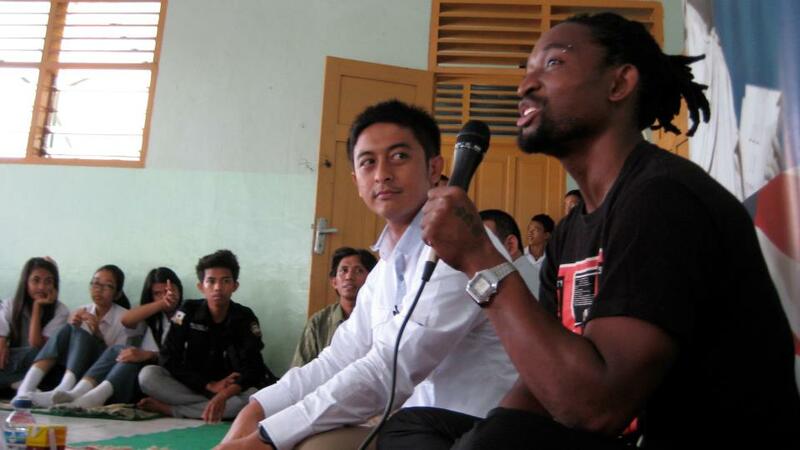 Two dancers visited government schools each morning and engaged in media interviews during the afternoon. The other three ran Dancing to Connect workshops that lasted for four days, simultaneously training local teachers so they could lead their own DtC workshops in the future. 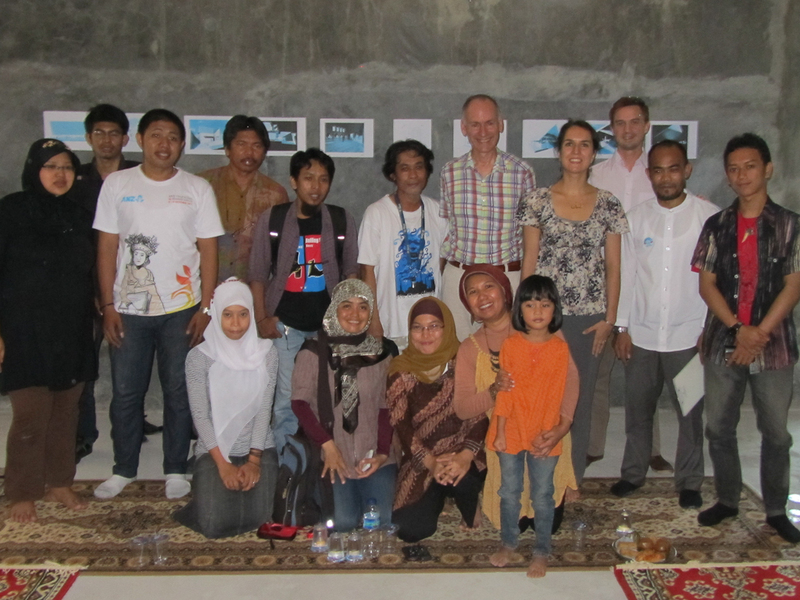 The program culminated in a final performance held at the Gedung Mulu, a historic Dutch community hall, transformed into a dance theater through the skilled and imaginative exertions of Barry Steele and his local counterpart, Andi Muhammad Redo, executive director of Yayasan Kesenian Batara Gowa. 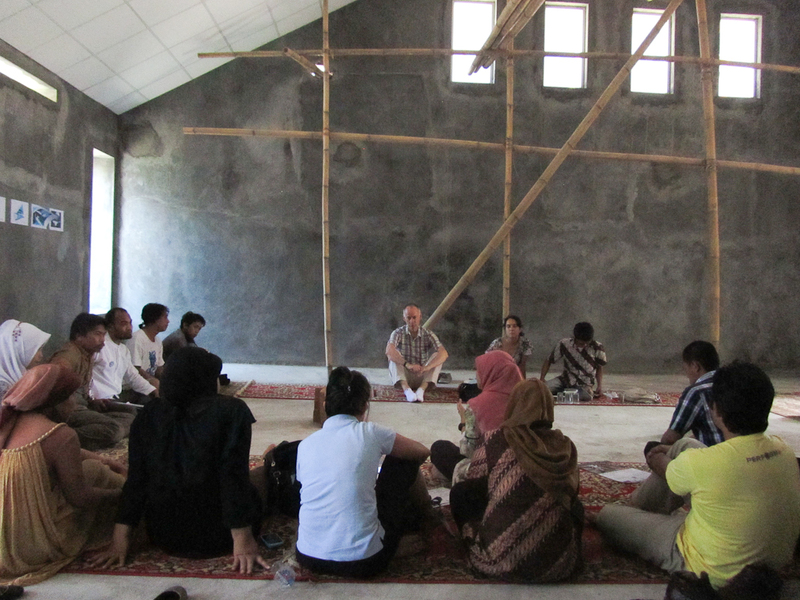 Jonathan led a talk on Fundraising and Arts Management for Rumata, a house for art and cultural interaction that had just been inaugurated in Makassar. 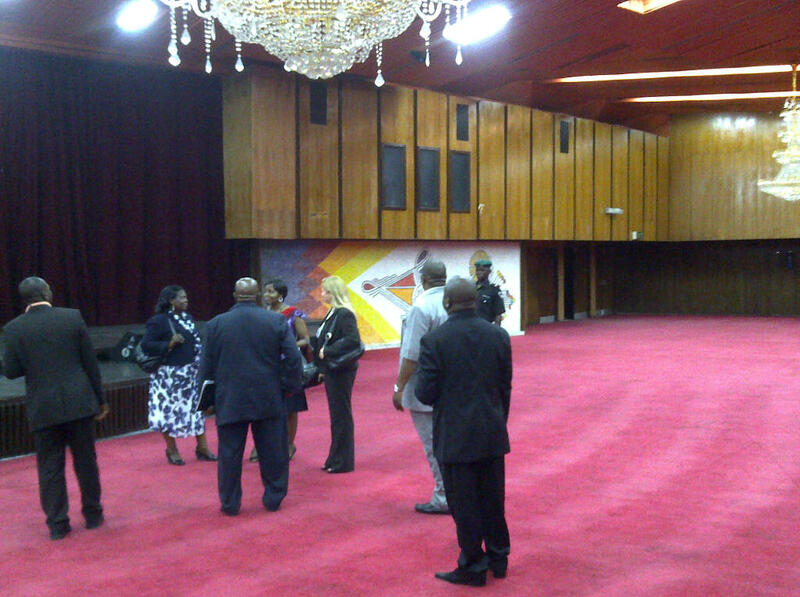 Jonathan also addressed the local Ministry of Tourism and Culture on the role the Arts can play in civic development. A follow-up meeting with the Minister provided the opportunity to converse on how best the city of Makassar could support its budding local arts community. 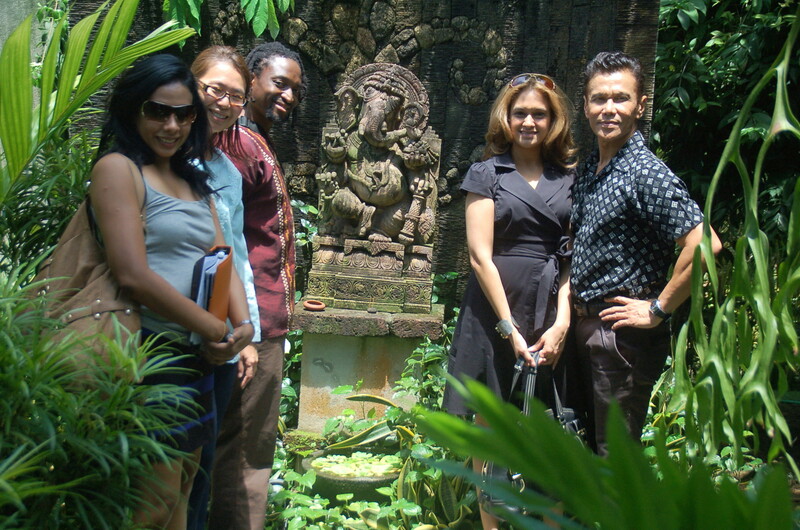 Battery Dance’s Indonesia trip, the final leg of BDC’s 2011 Southeast Asia Tour, left the Company hoping for more such opportunities in the future. 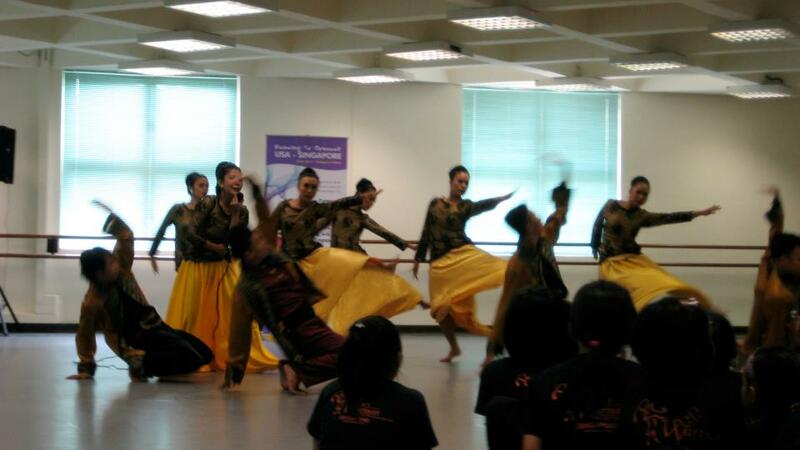 1 shared performance with Sri Warisan Som Said Performing Arts Ltd.
LaSalle College of the Arts. Nanyang Academy of Fine Arts. 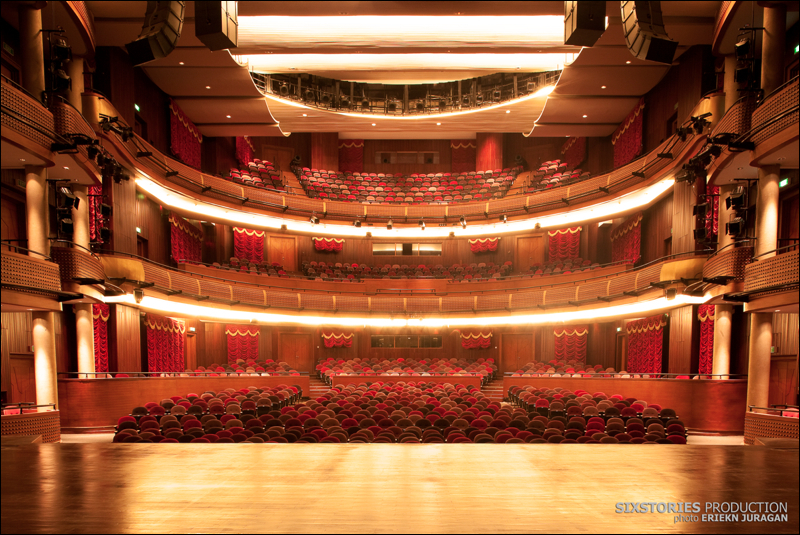 Sri Warisan Performing Arts Som Said Ltd..
Touring to Singapore had none of the usual challenges that we have found in countries with less advanced levels in the performing arts, education, theater technology and so forth. In addition, English is universally spoken so no translation was required. It was gratifying to be able to play to audiences and challenge workshop participants who could follow us with minimal layers of explanation and who could absorb the most sophisticated material we were able to dish out. 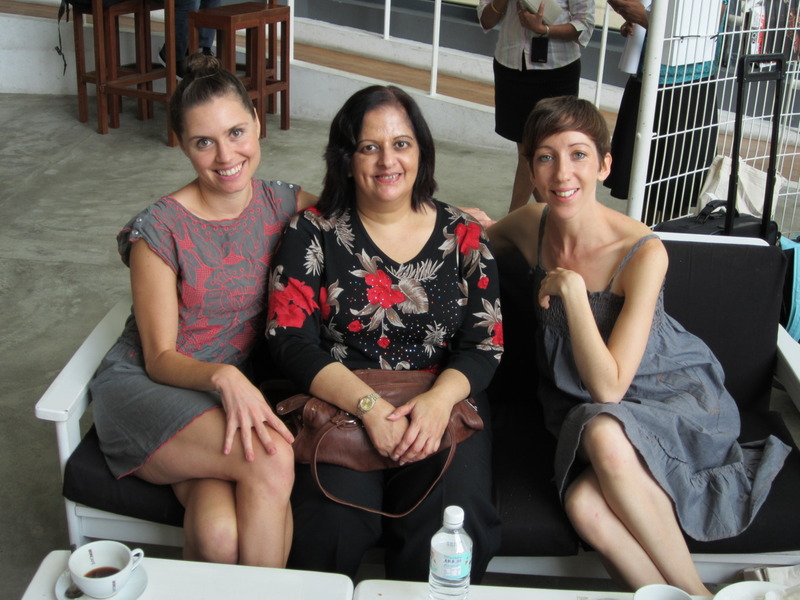 A one-week program in Singapore offered Battery Dance an exceptionally intense immersion and high impact introduction to the city-state. Singapore’s high standard of living and the dominance of the English language made it appear more like a Western rather than an East Asian city to the crew. The program was supported by the United States Embassy Singapore and the United States Department of State Bureau of Educational and Cultural Affairs. In traditional BDC fashion the crew engaged a diverse selection of secondary and tertiary educational institutions, working with teenagers and young adults. The brevity of the Singapore trip required creative planning to satisfy the many requests received by the U.S. Embassy. The company was split into two independent units to achieve maximum outreach. 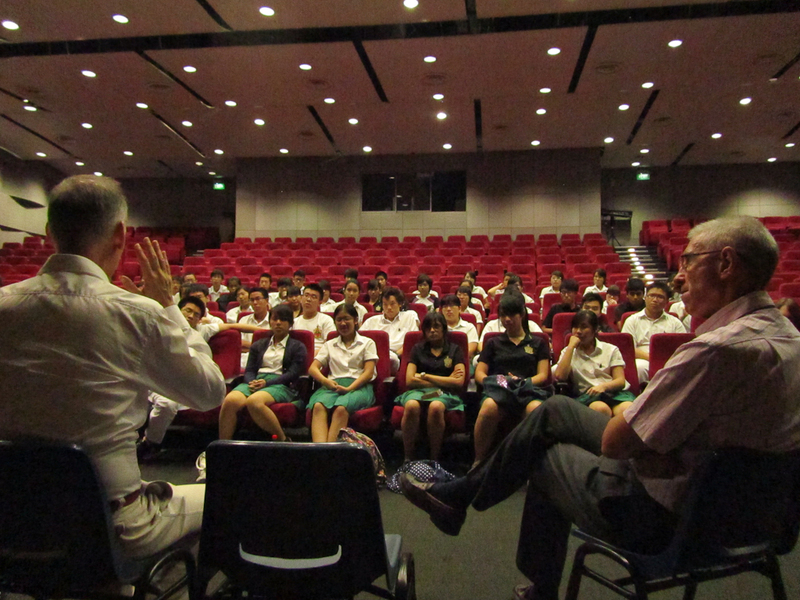 The program week kicked off with a day-long residency at LaSalle College of the Arts with a performance, question and answer session followed by lunch with the faculty and a lecture on arts management. 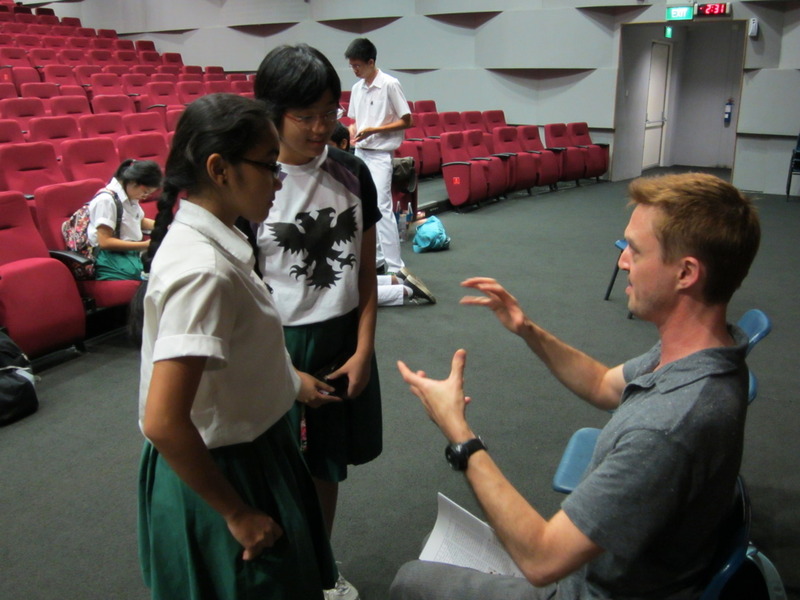 Three teaching artists ran Dancing to Connect (DtC) workshops for four days with 60 students at Republic Polytechnic, a public university that serves over 20,000 students from diverse backgrounds from across Singaporean society. Meanwhile, the other four company members visited schools and conservatories, teaching master classes, delivering lectures and giving mini-performances. At Republic Polytechnic, the company met Ganesh Kalyanam and Zaini Tahir, the two inspirational leaders of the arts program at the institution. 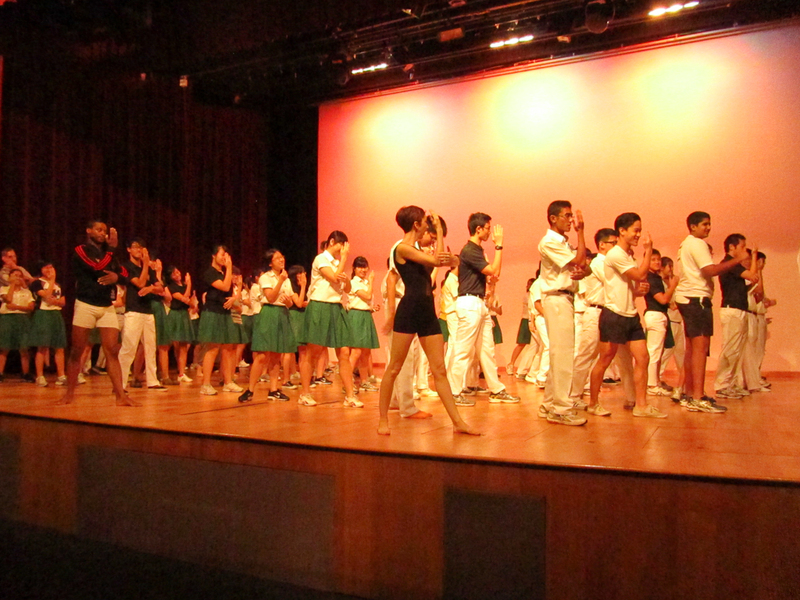 While Republic Polytechnic does not offer majors in the arts, the participating students were members of dance clubs ranging from hip hop to Malay and modern dance. 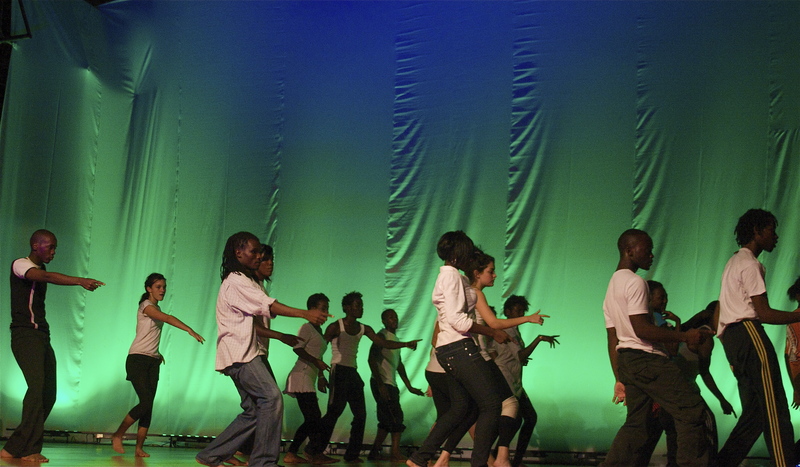 The three Dancing to Connect workshops provided the students with the necessary techniques and skills to support the creation of 3 original works. 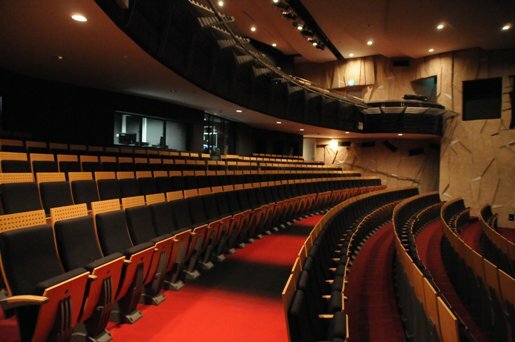 Republic Polytechnic furnished three amazing dance studios for the DtC workshops and a magnificent theater for the final performance, which was packed with students whose response was raucous. 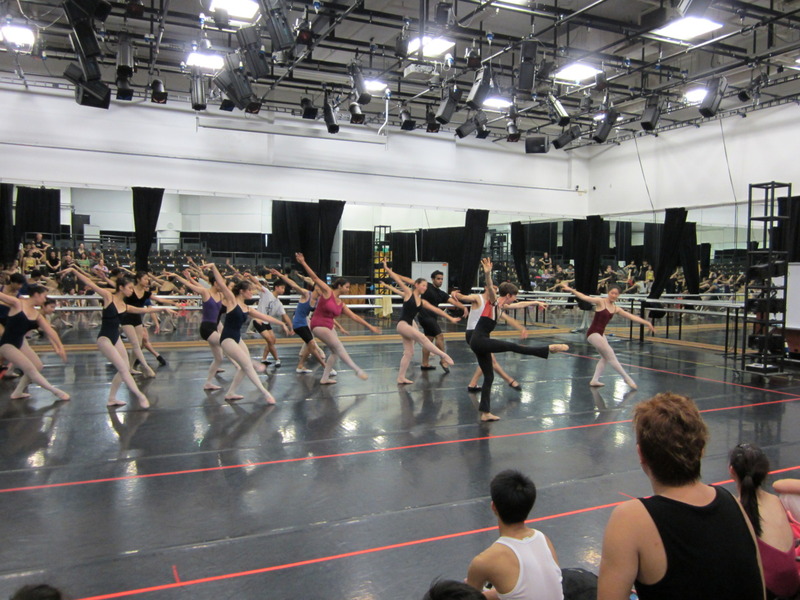 At Nanyang dance department director Caren Cariño organized a series of master classes on ballet and hip-hop for dance majors. 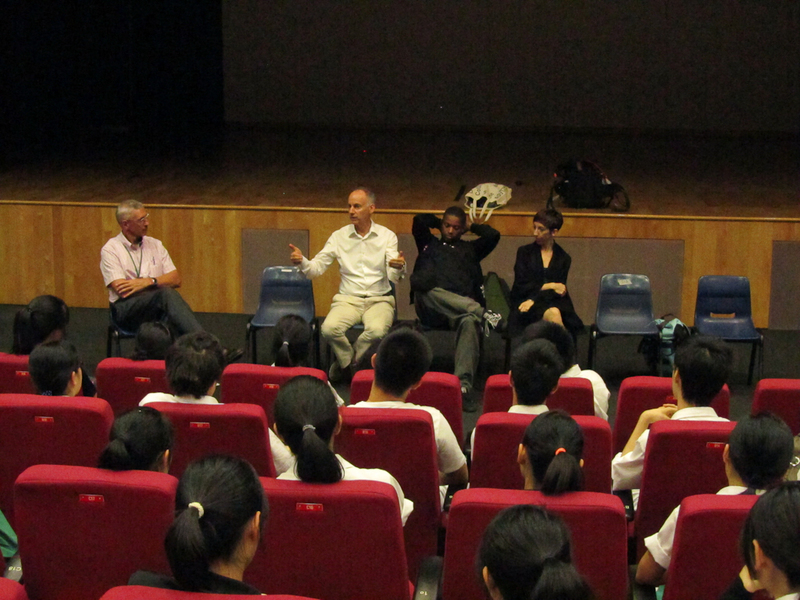 Additionally, the Raffles Institution, an elite Singaporean high school, was host to a duet performance by Robin and Sean, a master class for 80 students, and a panel discussion on the topic of “Lives in the Arts”. The final component of the Singapore program consisted of a joint performance and sharing session with Madame Som Said and the Sri Warison Performing Arts Group, a premier Malay dance company, at the Goodman Arts Centre. 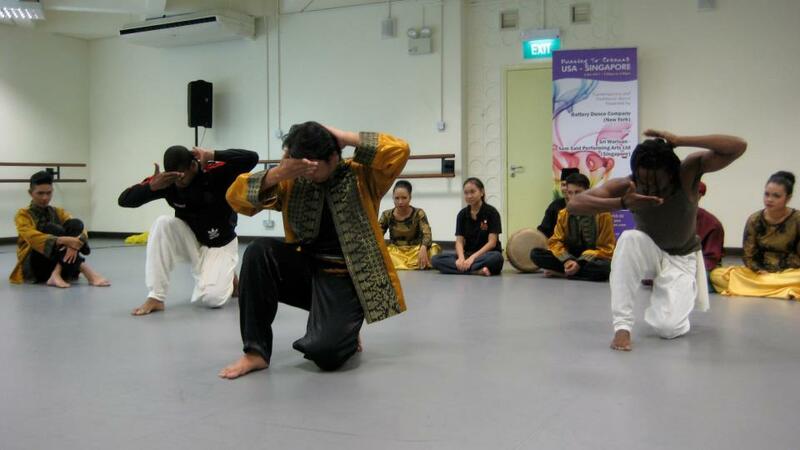 The peer to peer experience with the Sri Warison Performing Arts Group allowed the company to display their own work and appreciate the fascinating art form that is classical Malay dance. Battery Dance extended the invitation to Sri Warison to come to New York in August to take part in the Downtown Dance Festival. This bilateral interaction is a vital competent to the company’s mission. Striking a similar pose at a Raffles Institution. We often face a serious problem of meshing needs and desires with practicalities; local conditions with safety and 'standards'. 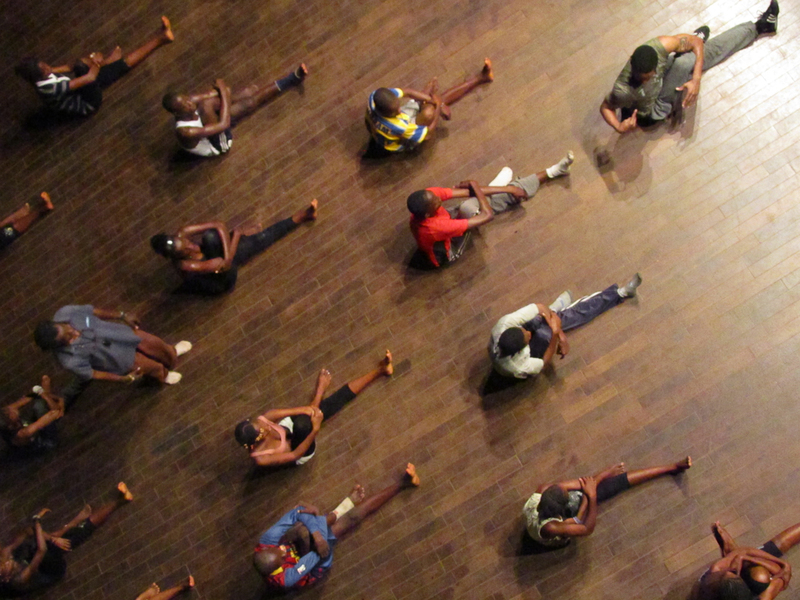 In several of the countries we visited in Africa, wooden dance floors with requisite spring (not laid directly on concrete) simply couldn't be found. Had we stuck to our idea of how things should/must be, we would have dug in our heels and our programs would have either been cancelled or severely modified, resulting in less direct impact with local youth. 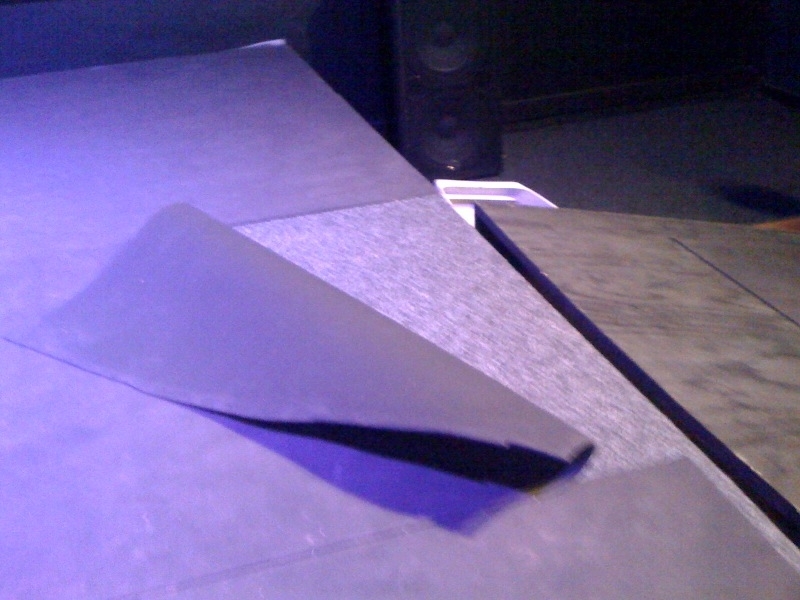 As it was, we got lucky and in Zambia, puzzle pieces of thick rubber matting were located (a gift from heaven) that rendered a cement floor danceable. And in another case, an ex- Minister's death caused the cancellation of a program that would otherwise have been staged on a surface ill-suited for our style of dance. Can one actually believe that things happen for a reason? ... sometimes! In the unforgettable words of one of BDC's teaching artists, Robin Cantrell, 'The program is Guinea was my favorite ever'. The gratification she felt from working with the young people in Conakry, whose life conditions were seriously strained, was unparalleled. We heard similar reactions from the group in Lesotho. Whatever we can bring to these young dancers, it pales compared to what we get back in appreciation. 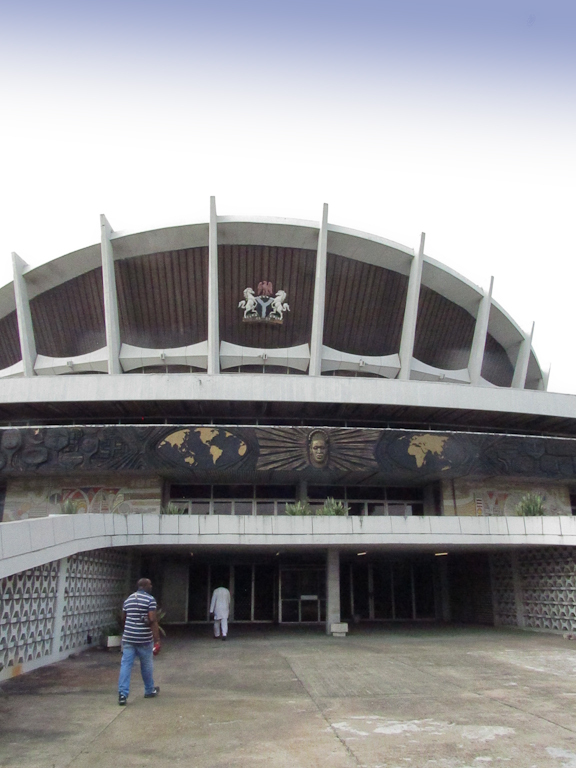 After their mission in Nigeria was complete Sean Scantlebury, Robin Cantrell, and Barry Steele headed northwest to Conakry, the capital of Guinea. 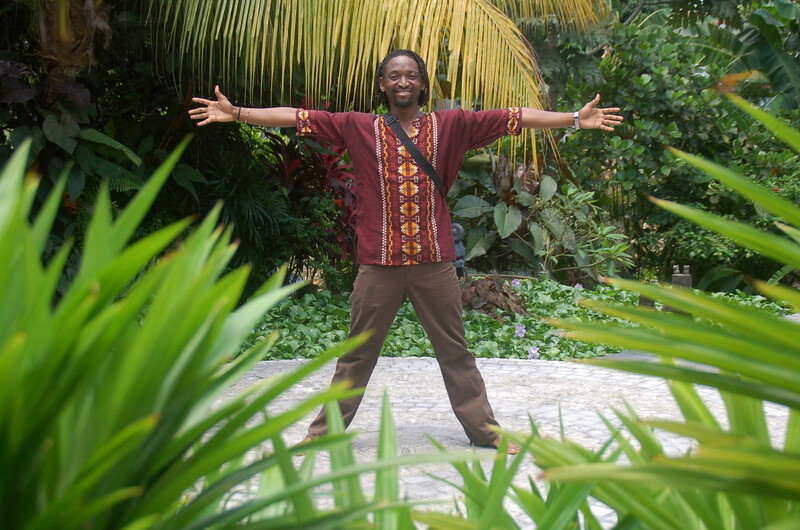 Guinea is an impoverished country and has suffered from a turbulent postcolonial history. Robin and Sean each taught full six-day DtC workshops, with a total of 40 disadvantaged youth participating and found the students energized and eager to work with their American teachers. 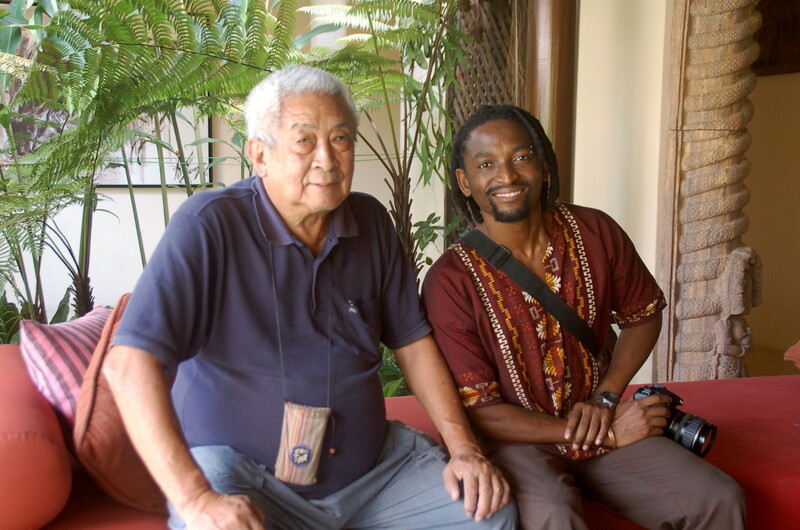 A local artist, Mamady, served as a translator between the participants and the teaching artists, his assistance was indispensable to the positive outcome of the mission. 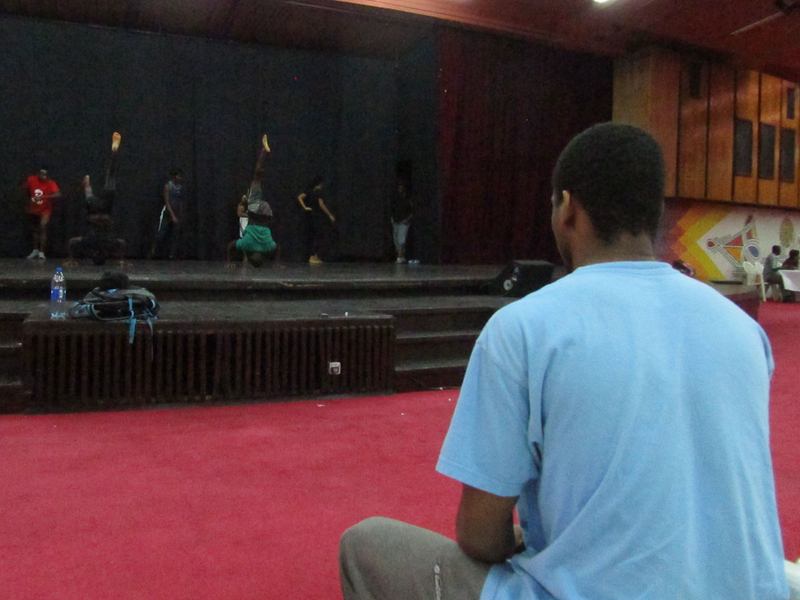 The Franco-Guinean Cultural Centre, a relatively modern and well furnished facility was the venue for both rehearsals and the actual performance. The DtC performance which capstones every set of DtC workshops was attended by locals and embassy staff, Robin and Sean also performed three duets. 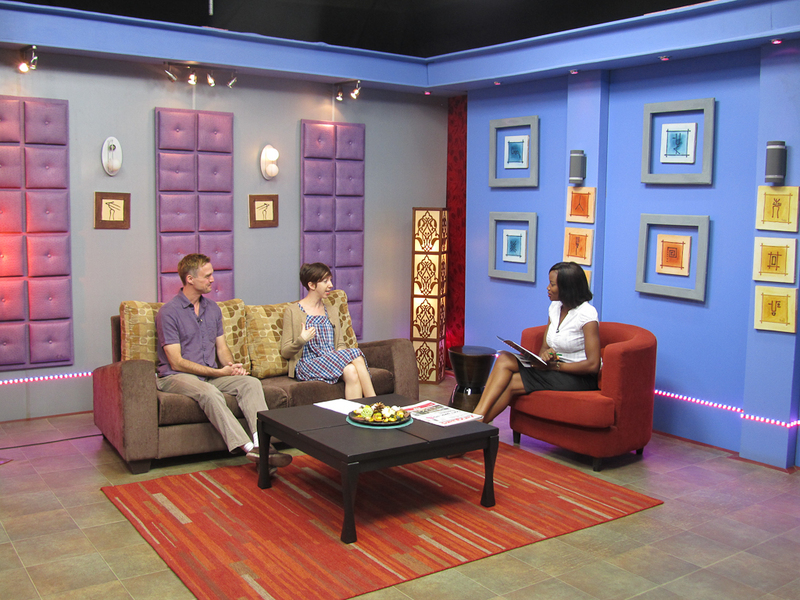 Robin and Barry also had the opportunity to conduct national television and radio interviews. 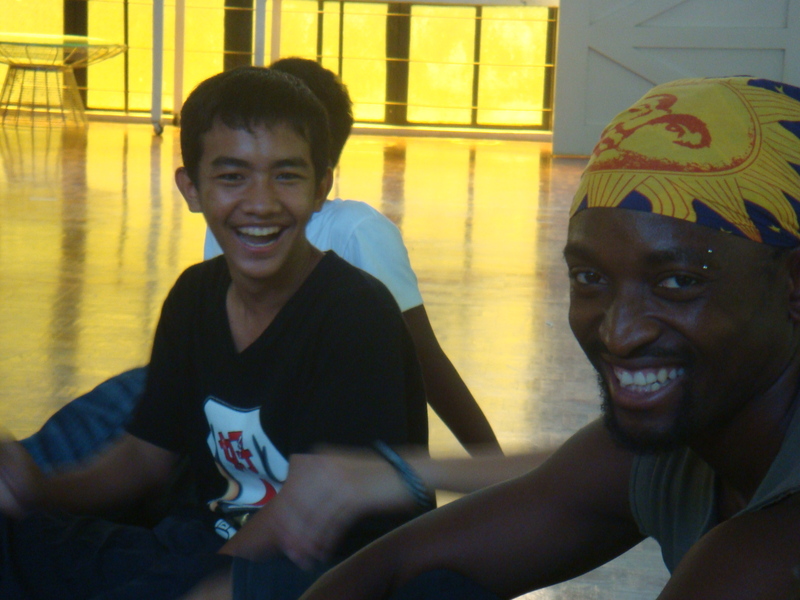 Sean and teacher trainee Mamady. 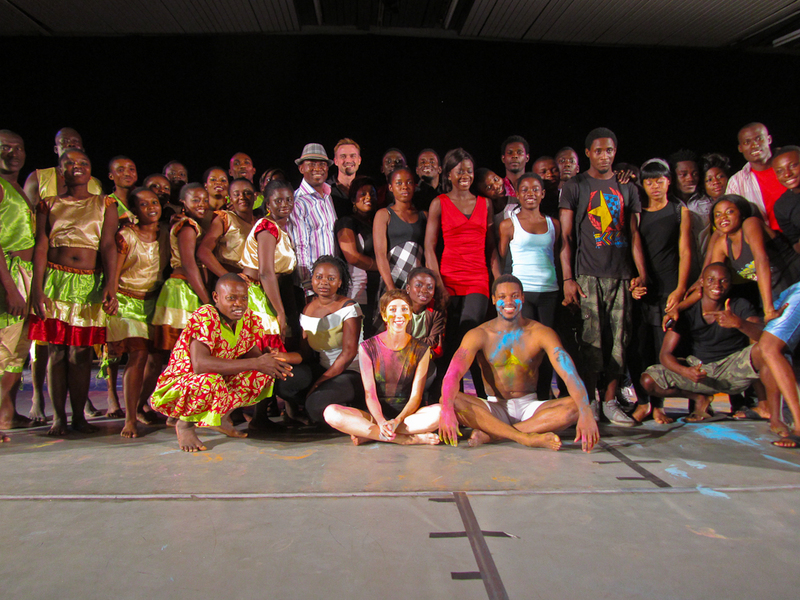 Sean and DtC participants after the performance. Robin and participants after rehearsal. 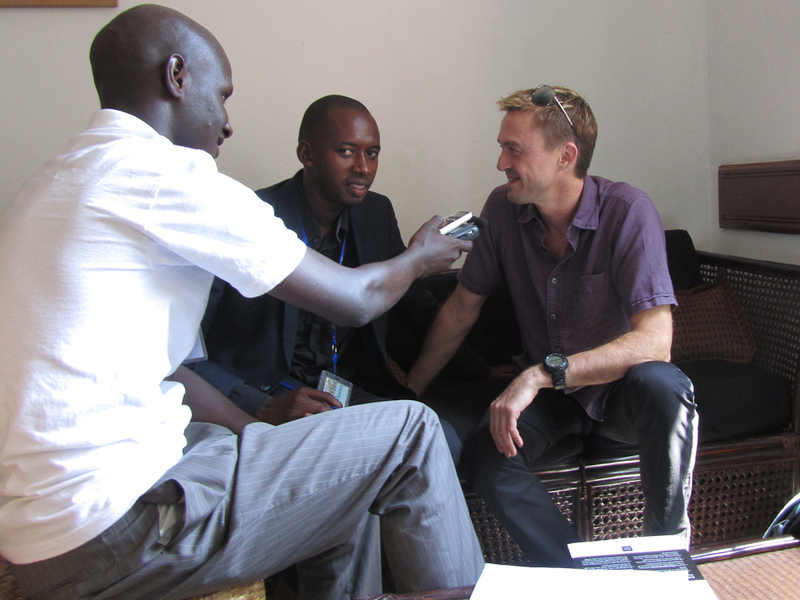 Barry interview with Horizon FM. Battery Dance Company posters all around town. Everything sounded beautifully planned and uniquely creative to the BDC management team when on the phone between New York and Maseru - However, none of the managers were on the tour and therefore, when things didn't turn out well in the eyes of the dancers on their arrival in Lesotho (vis a vis the outdoor stage et al) their ability to navigate and negotiate was compromised. Looking back on the situation, several ideas for avoiding such problems in the future present themselves: - one of the dancers should have been involved on the planning calls along with the director of Kick4Life to make sure all parties had a clear understanding in advance - one of the managers should have been on the tour - the teaching artists should have insisted on a three-way teleconference with New York and the Embassy as soon as they discovered the problems. 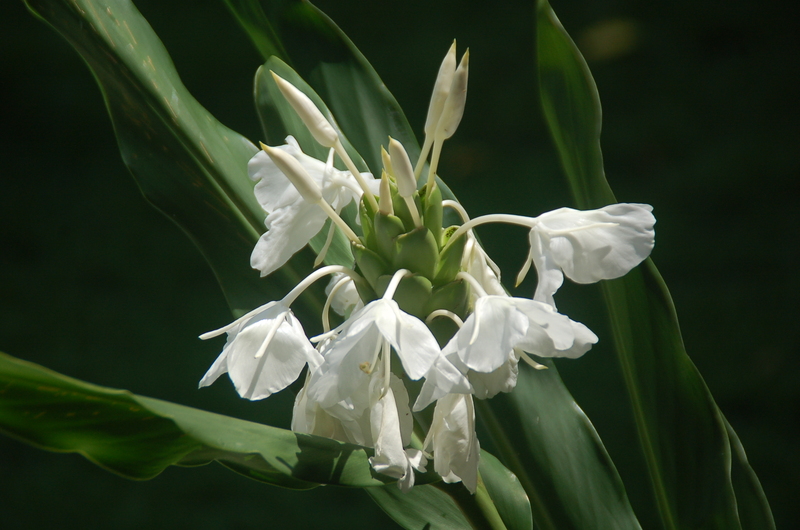 The above problem was exacerbated by the fact that communication by phone was nearly impossible and internet connectivity was also a challenge. Thus, the team on the ground was really on its own without the benefit of regular feedback and counsel from management in New York. 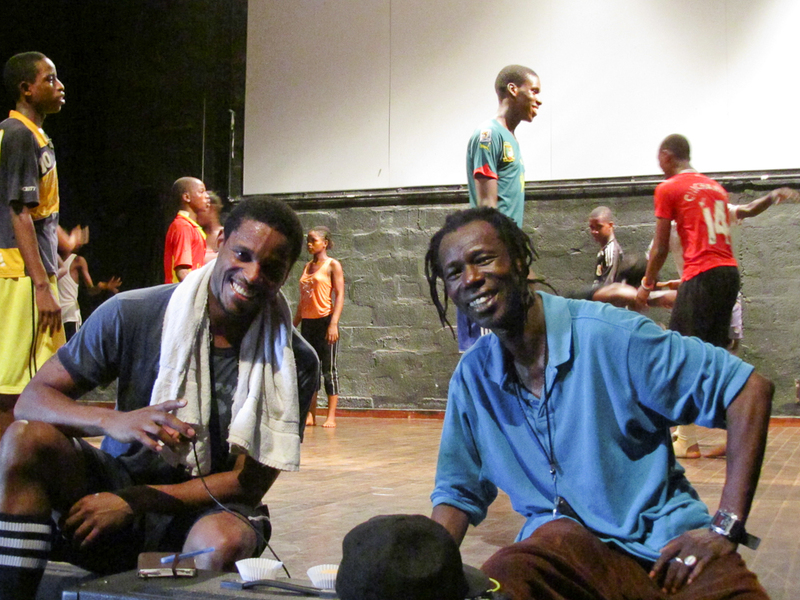 Forty-eight students participated in the two, four-day Dancing to Connect workshops, with teaching artists Mira and Bafana at the helm of each session with Carmen as the trouble-shooter and support person. Kick4Life interns and volunteers jumped into the process as well. While many of the DtC participants were affiliated with Kick4Life, others came from a local shelter for orphans and homeless children. 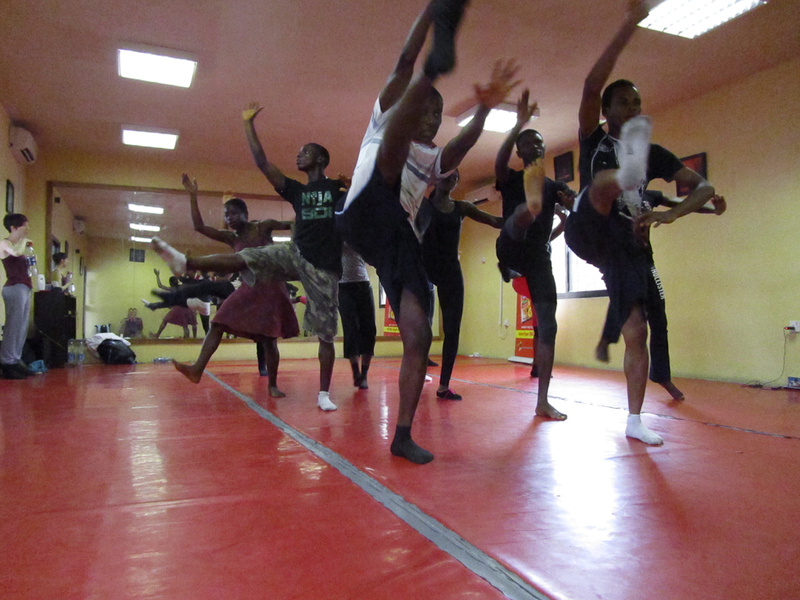 The young people’s issues and concerns surrounding HIV/AIDS, teen pregnancy, and drug abuse found their way into the dance workshops. (UNICEF estimates that nearly ¼ of Lesotho population from the ages of 15 to 49 is living with HIV. 43% of Lesotho’s population lives off less than $1.25 a day.) 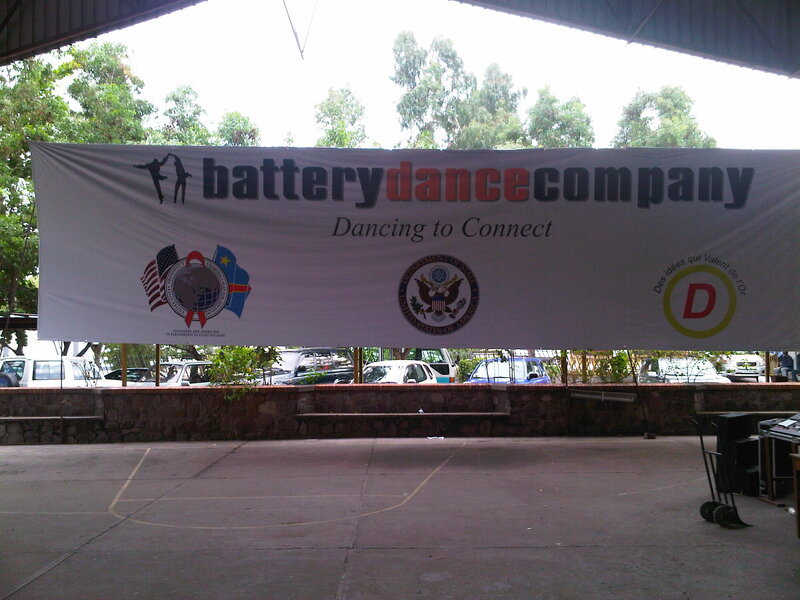 Despite these circumstances Battery Dance found the DtC students to be resilient, optimistic and enthusiastic. 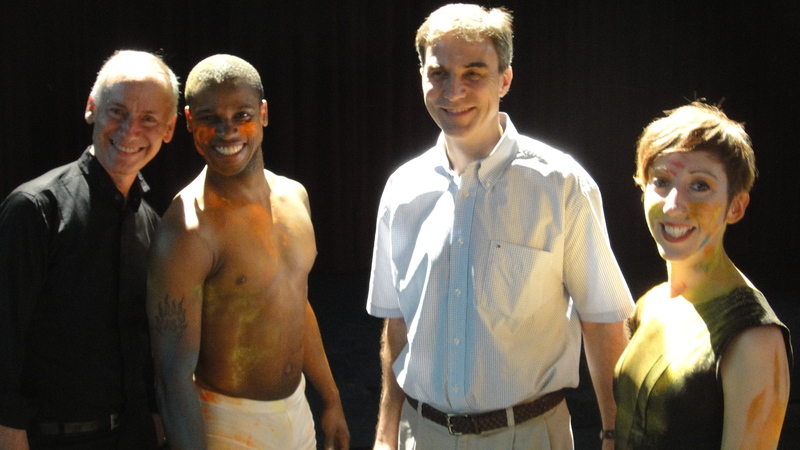 The final performance consisted of traditional Lesotho dancers, three musicians, a ballroom dance group, two DtC pieces, and two trios and three solos performed by Battery Dance artists. 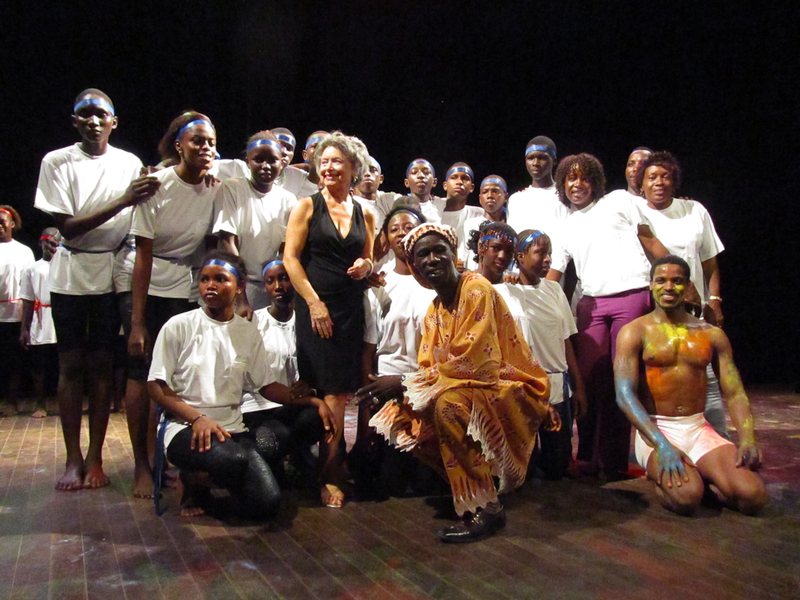 Ambassador Michele Bond as well as other diplomats were in attendance for the final performance along with families and Peace Corps volunteers. The Lesotho trip was a great example of BDC’s creatively partnering with another nonprofit to achieve its core mission of providing access to the arts for those who otherwise lack the opportunity. Moreover, Battery Dance learned to adapt to the given conditions and have a positive impact on the lives of the students. 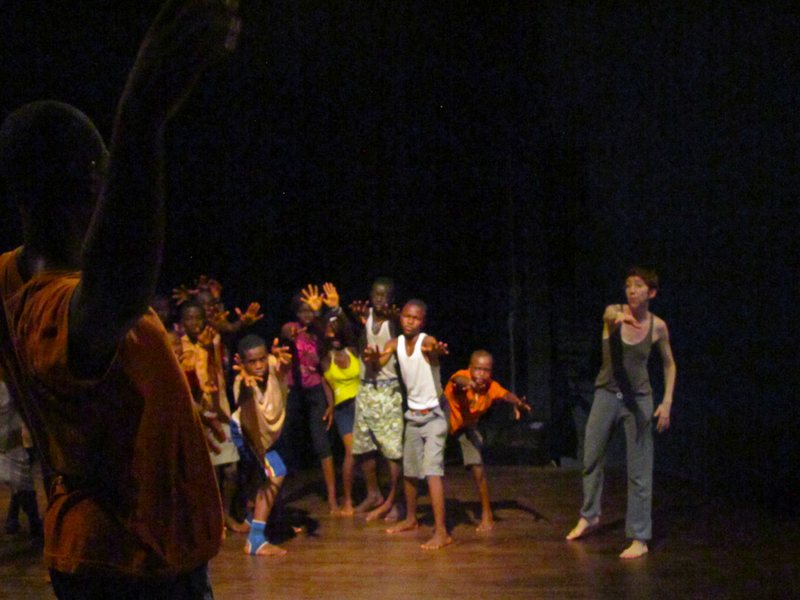 Despite just having three teaching artists to cover a nation the size of Texas, Battery Dance was able to pull off a two-city trip to Zambia. 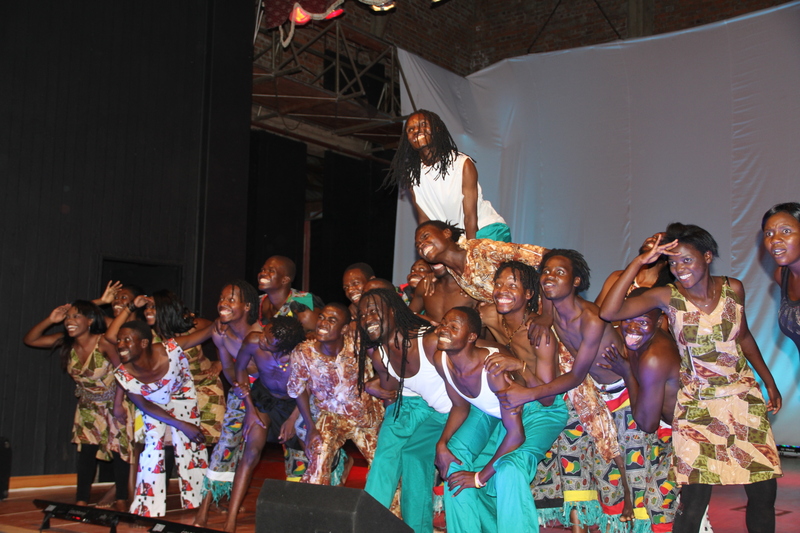 The journey to Zambia was part of the second leg of the 2011 African tour which also included trips to Nigeria, Lesotho, and Guinea. 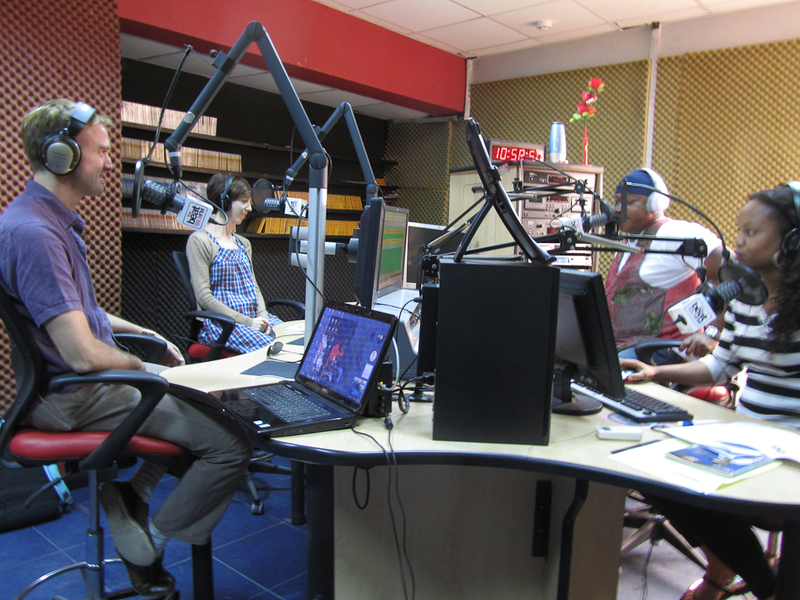 The group in Zambia was the trio of Carmen Smith, Mira Cook, and Bafana Mataea. 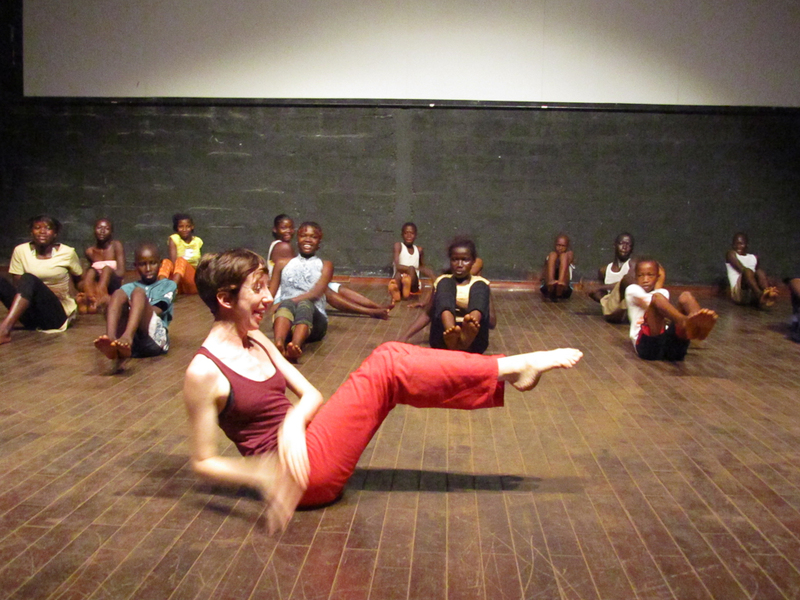 Carmen flew to the town of Livingstone, on the Zimbabwe boarder to conduct her own Dancing to Connect program. Meanwhile Bafana and Mira stayed in Lusaka, the capital to conduct two DtC workshops. 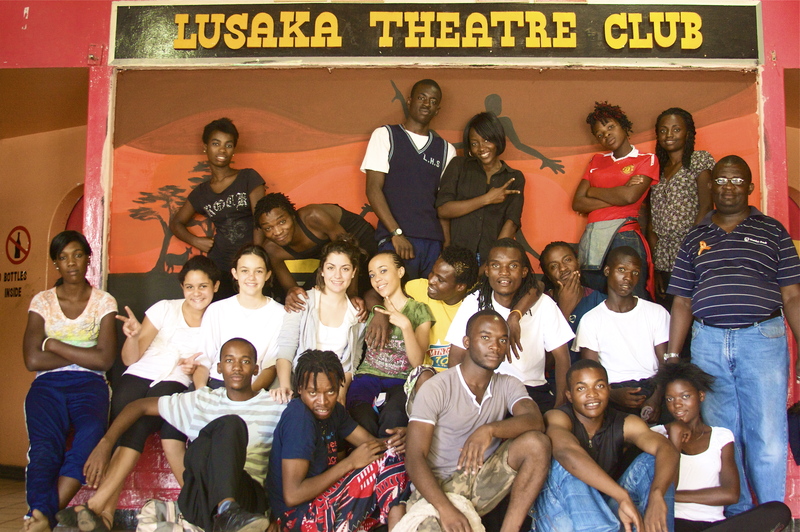 The DtC workshops in Lusaka each had 20 participants, ranging in age from 13-22. Some of the youth were either homeless or faced troubling domestic situations. Despite these conditions the students displayed enthusiasm and an eagerness to learn. 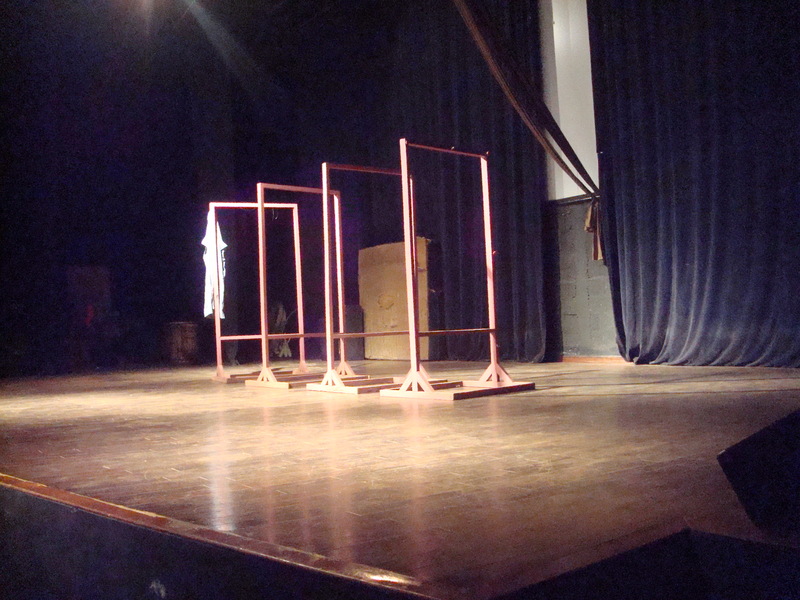 The Lusaka Playhouse was the venue for both the DtC workshops and final performance; it proved to be extremely well-suited for the company’s needs. 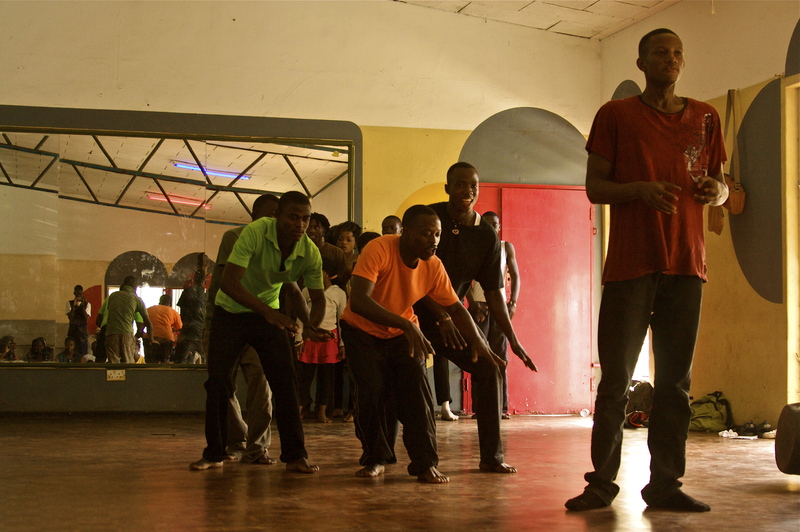 Africa Directions, a local nonprofit that seeks to empower Zambia’s youth and raise AIDS awareness partnered with the U.S. Embassy to provide participants for the DtC workshops in Lusaka. 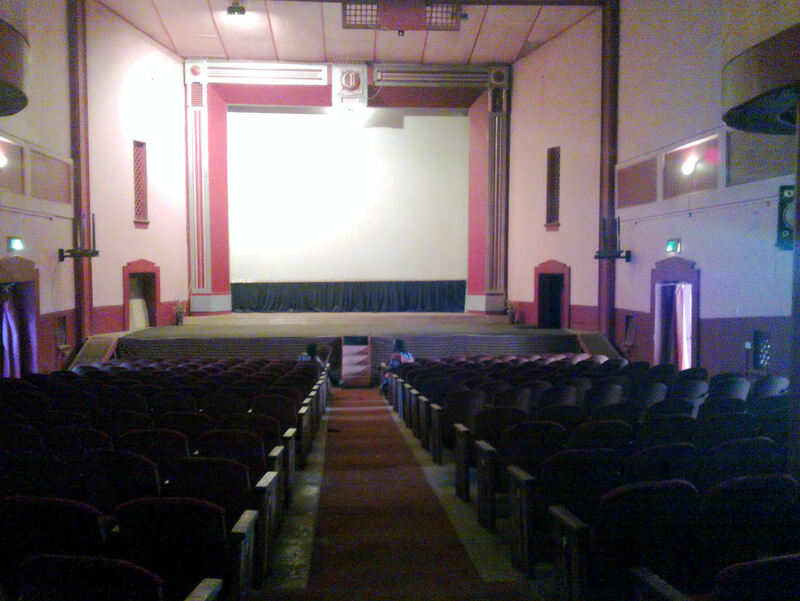 Carmen was confronted with several challenges in Livingstone, including time constraints and the unkept condition of Capitol Theater’s interior. 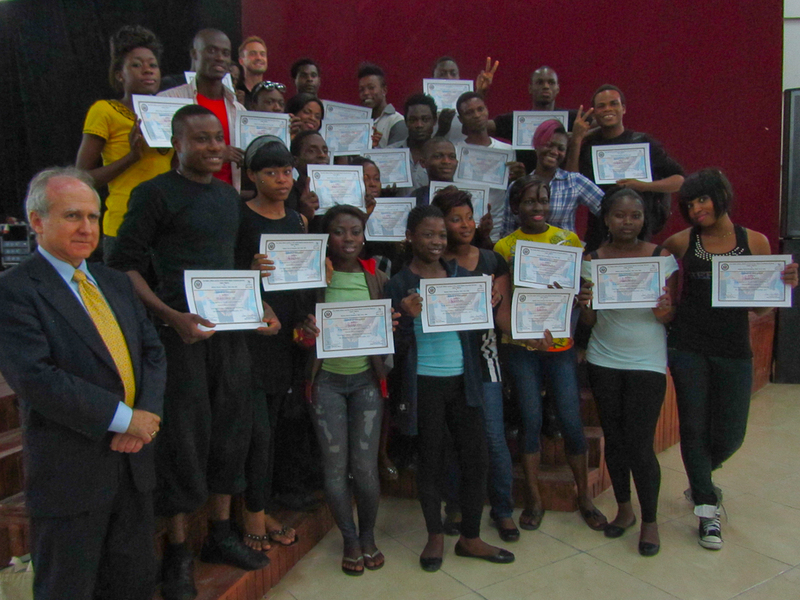 However, with the help of Daisy Nalishuwa of the Livingstone Performing Arts Foundation (LiPAF) and Chando Mapoma of the U.S. Embassy in Lusaka, Carmen was able to coordinate and conduct a DtC workshop with 10 students, ages 19-30. 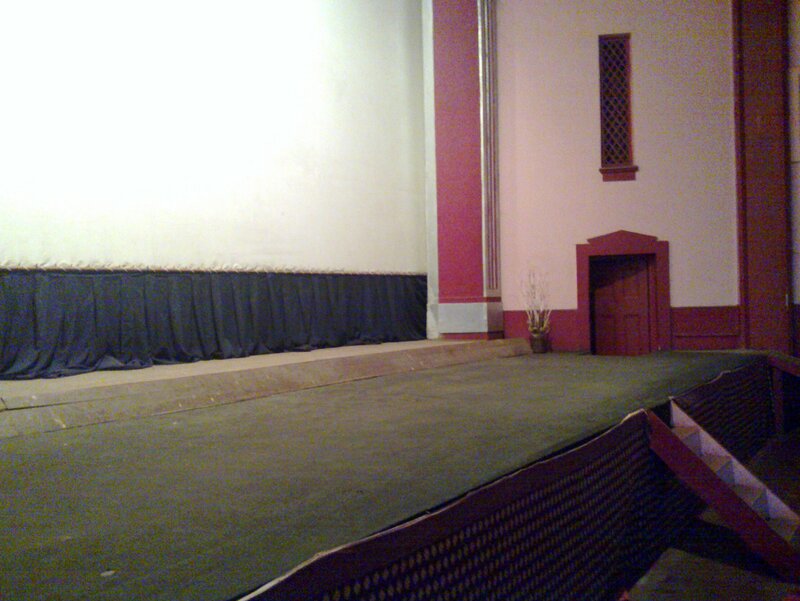 In the end Capitol Theatre’s gorgeous exterior and majestic location on Victoria Falls proved to be a sufficient venue. 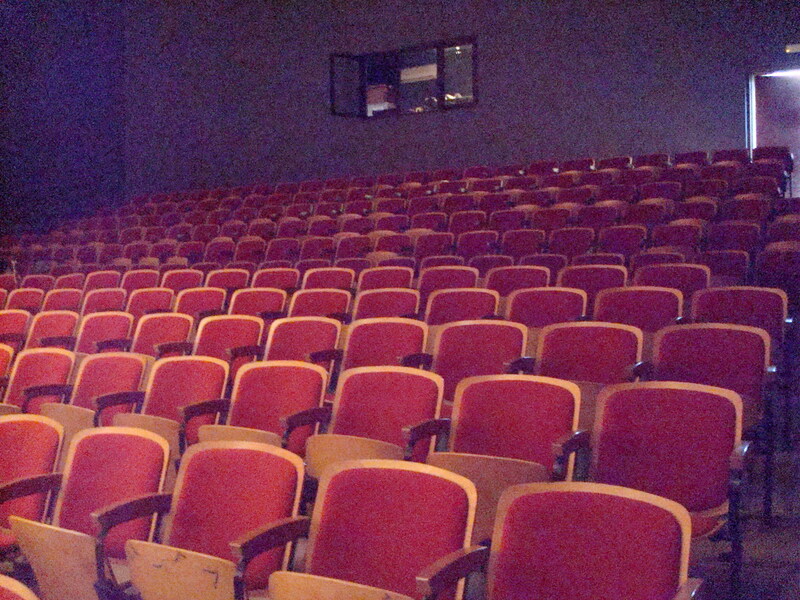 Over one hundred and fifty people filled the theater in Livingstone to watch the DtC dance and Carmen perform two solos. 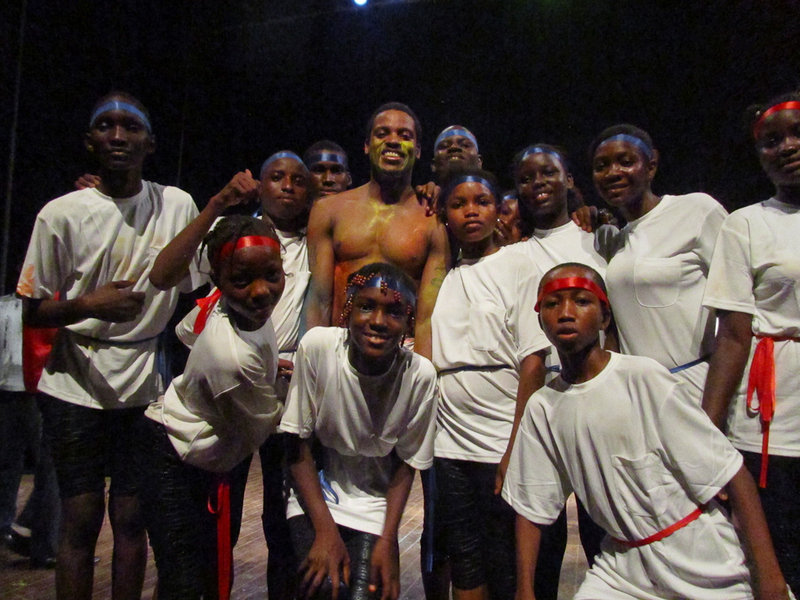 For the final performance in Lusaka, Carmen rejoined Bafana and Mira. 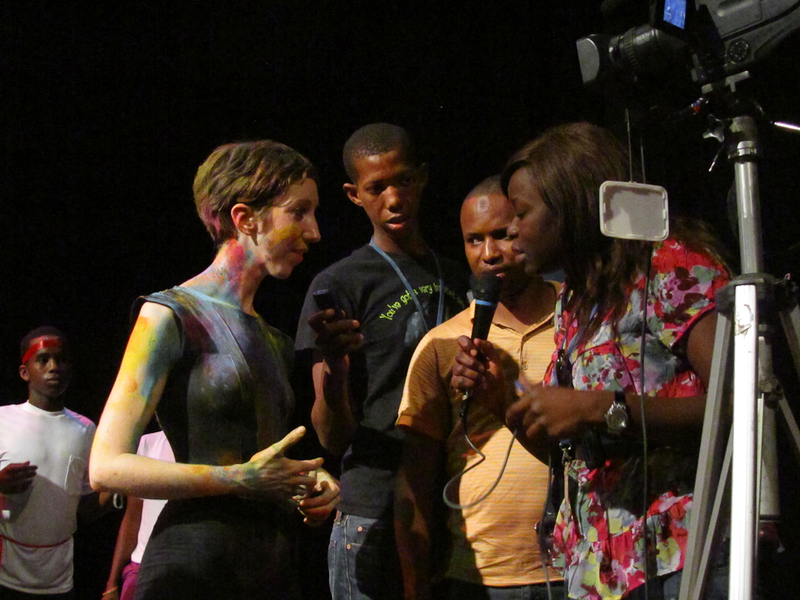 The Lusaka Playhouse was packed with over 500 guests including U.S. Ambassador Mark Storella and local Zambian government officials. 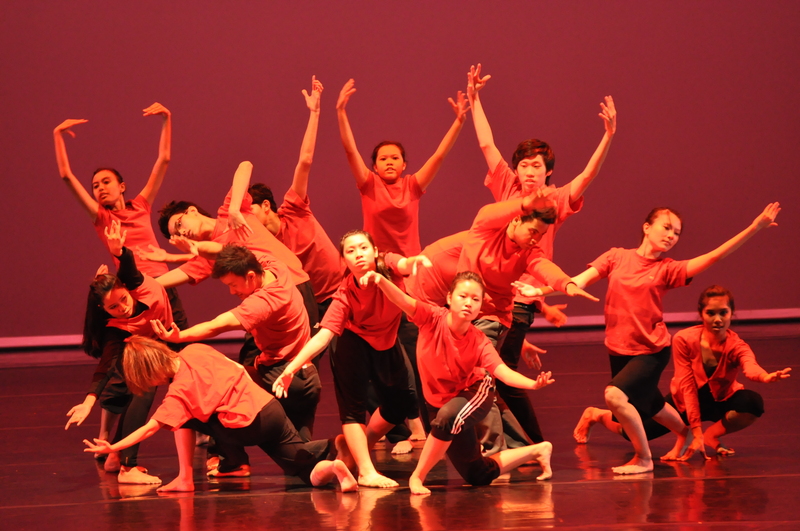 The students performed two DtC works; and the 3 BDC dancers presented 1 trio, 1 duet, and 3 solos. Barefoot, a local nonprofit dance group participated in the final performance as well. 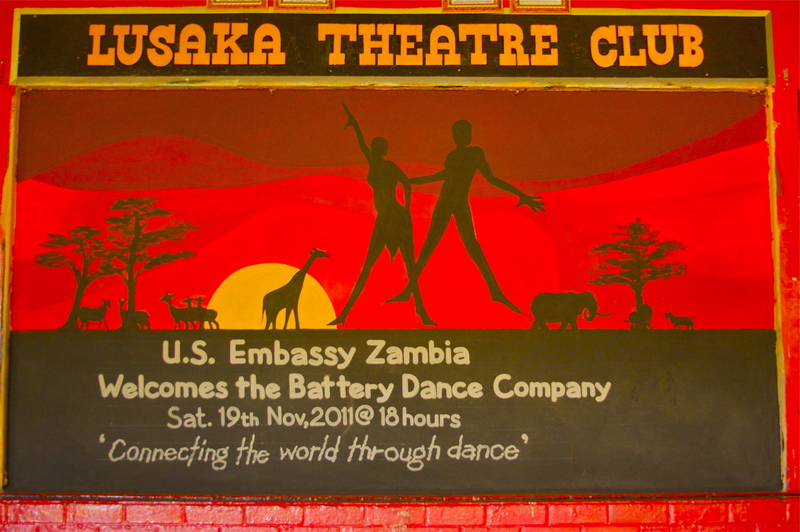 Perhaps the most rewarding aspect of the Zambia trip was the cultural interaction and discussions that occurred between the Battery Dance teaching artists and the DtC participants. While at first reluctant to engage in deep conversation, the students slowly began to open up and asked questions regarding contemporary American politics and culture. HIV/AIDS was also a salient subject in the dialogue. Despite recent progress in Zambia against HIV/AIDs, UNICEF says 13.5% of the adult population ages 15-49 is infected with the virus. 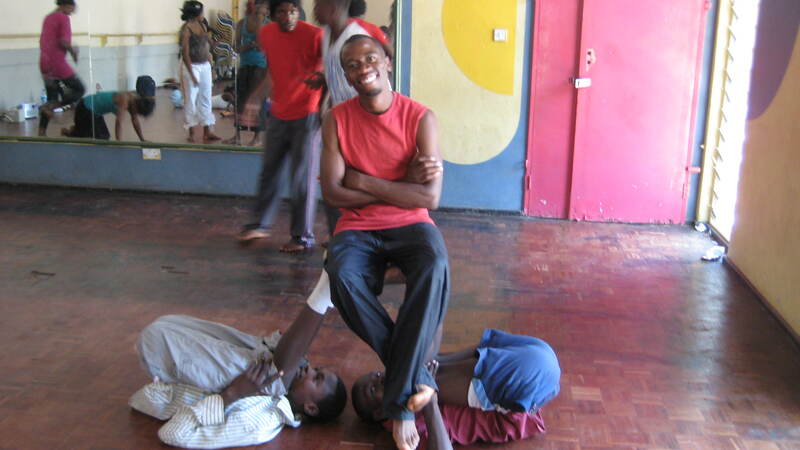 The trust and friendships built through the Dancing to Connect Workshops and performances, not just with the participants but with the audience as well, is the underlining mission of Battery Dance. 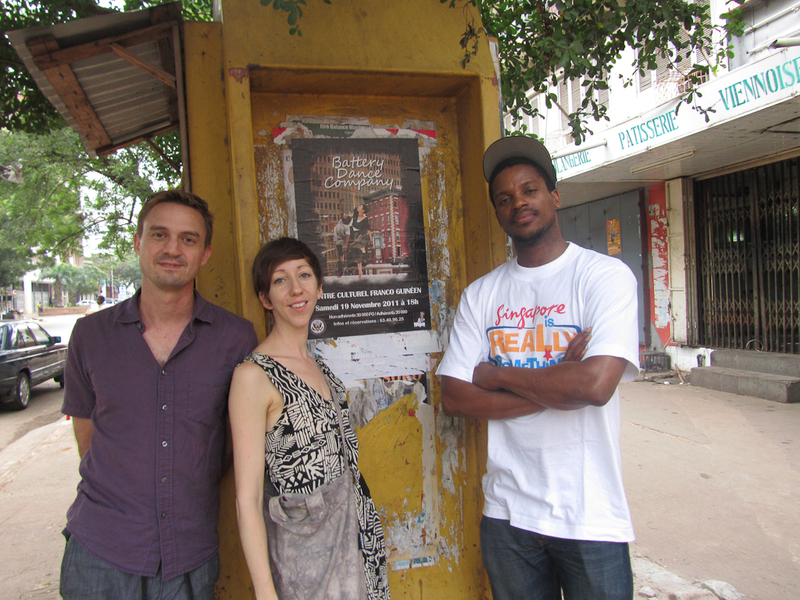 During BDC's 2011 Malaysian tour, Hollander left Kuala Lumpur for 24 hours to visit the workshop that was taking place at Penang, with BDC’s Sean Scantlebury and ASWARA’s Lorna Hoong at the helm. Again, the students were doing outstanding work, discovering their inner dancer while building their teamwork skills and self-esteem. It was extraordinary to see these young dancers leave the studio at Whiteaways Arcade (a part of Penang’s World Heritage Site), presumably to take a break, and then to step outside into the hallway and see them coaching each other and rehearsing their moves over and over again. 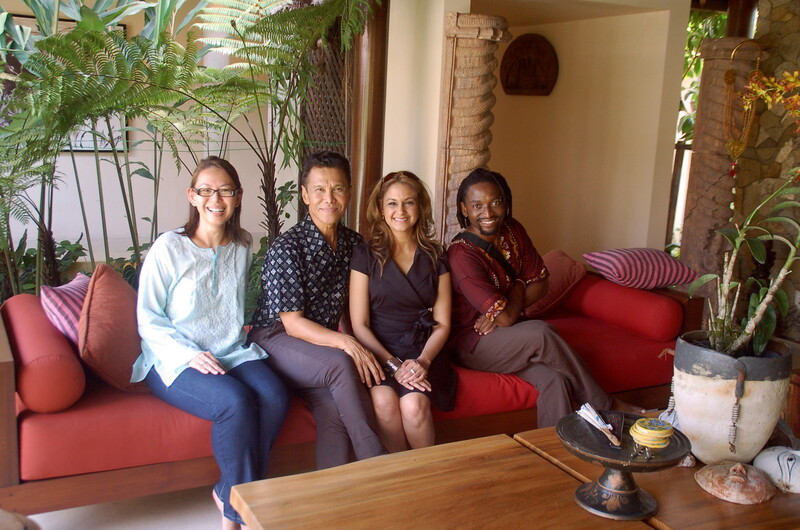 Hollander assisted in guiding arrangements for the final performance with Joe Sidek, Director of the George Town Festival, and Aida Redza, a Malaysian dancer and dance teacher, educated at the Rotterdam Dans Academy, who had spent months publicizing the workshops, gathering interested students from many different walks of life and socio-economic backgrounds, and negotiating space for the rehearsals. Joe managed to secure the historic Penang Town Hall for the performance and brought in lighting, sound and stage crews to support the show which, from all reports was well-attended and equally well-received. Local Malaysian partners in Penang, Kota Kinabalu, Kuang and Kuala Lumpur offered their support in the tasks involved in organizing five separate cohorts of 20 students each to take part in DtC workshops and final performances. A list of partners is appended to this report. An emphasis was placed on reaching out to under-served communities including refugees, students at government schools, street children, orphans and so forth. Venues were located for each workshop – with the requisites of wooden floors, good ventilation, sound equipment and spacious dimensions. As the planning phase unfolded (between February and September), more and more people and groups gravitated to the program, expanding its outreach and scope many fold.